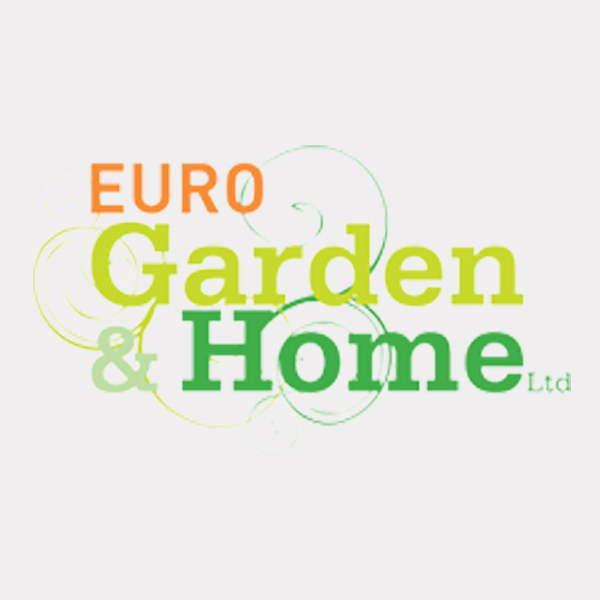 Who's exhibiting at Love your Home Show, Dublin this year? 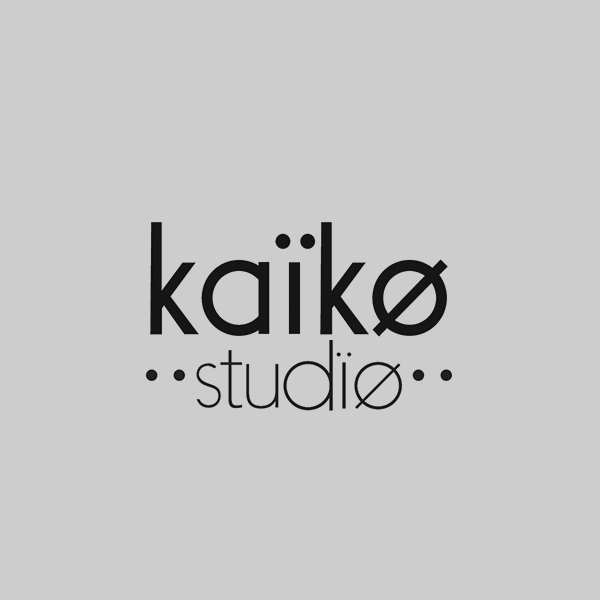 Click on each logo to find out more information. 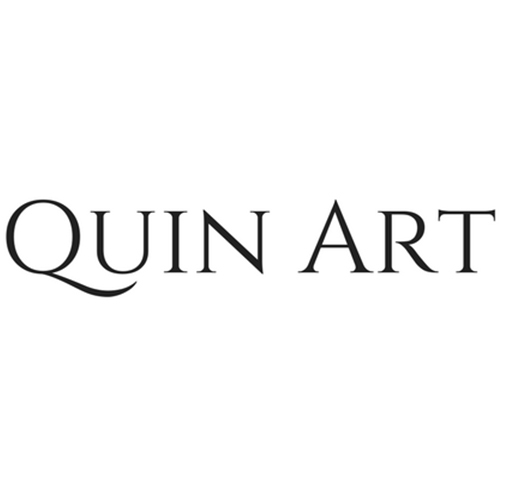 Marvin Architectural is the sole nominated distributor for Marvin window and door products in the U.K. 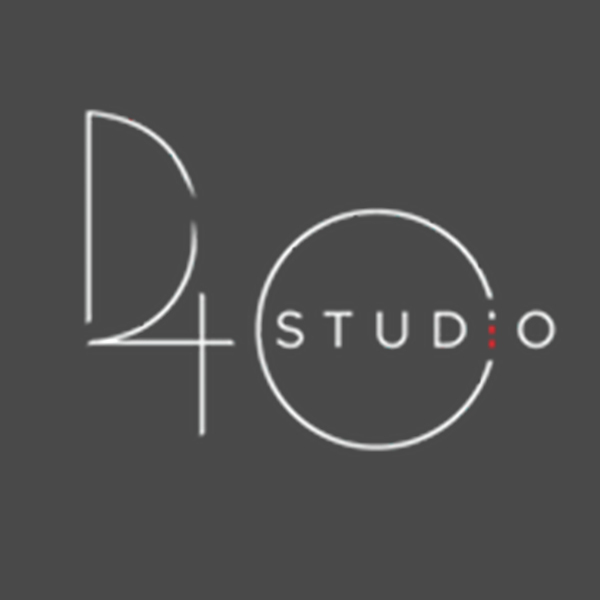 The U.K. headquarters was first established in 1994 as a sales office and has over the past 20 yrs. 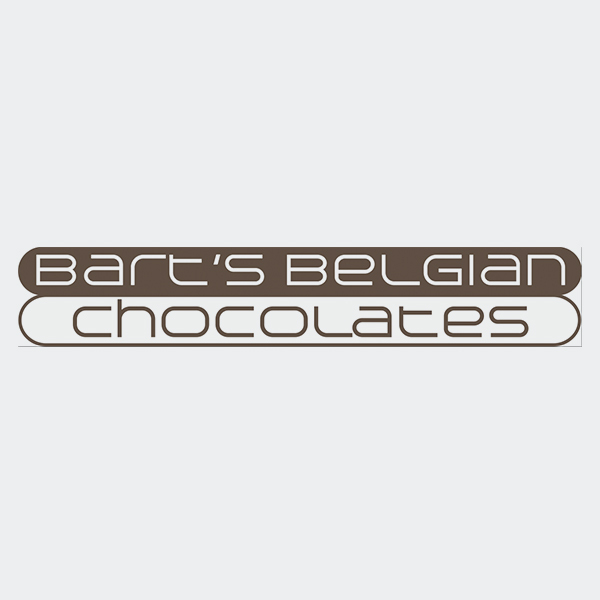 expanded in response to our loyal customer needs. 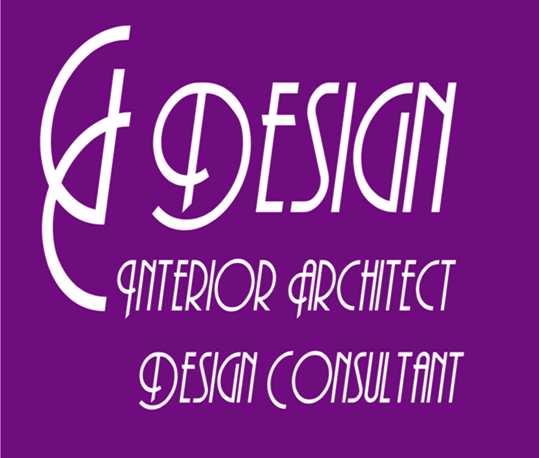 Eco Window Concepts (EWC) are based in Bagenalstown, Co. Carlow. 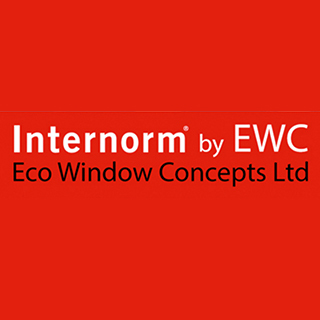 We are official agents for Internorm – Europe’s leading manufacturer of energy efficient windows and doors which are manufactured in Austria. 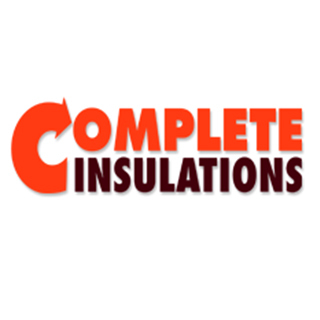 Aluclad composite windows & doors together with aluclad composite passive windows can be supplied throughout Ireland. Our showroom features the full Internorm range. 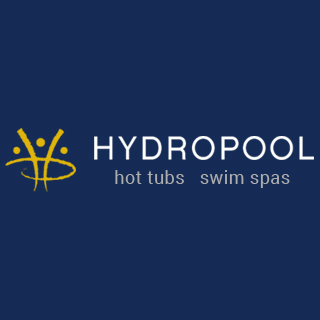 We would be delighted to present the numerous options available to you. 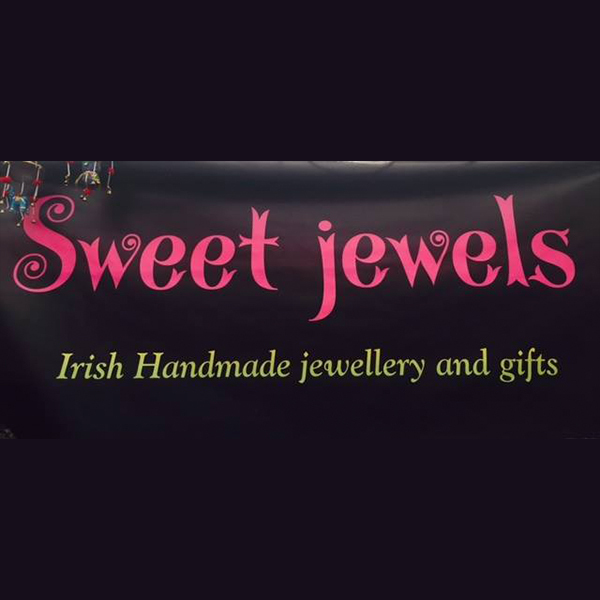 Please contact us to arrange an appointment at our premises in Bagenalstown, Co. Carlow. 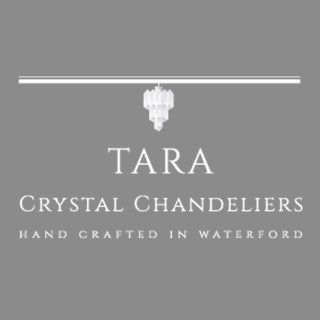 We have supplied and fitted chandeliers in private residences, hotels, country houses, city/town houses and castles all around Ireland and the UK. 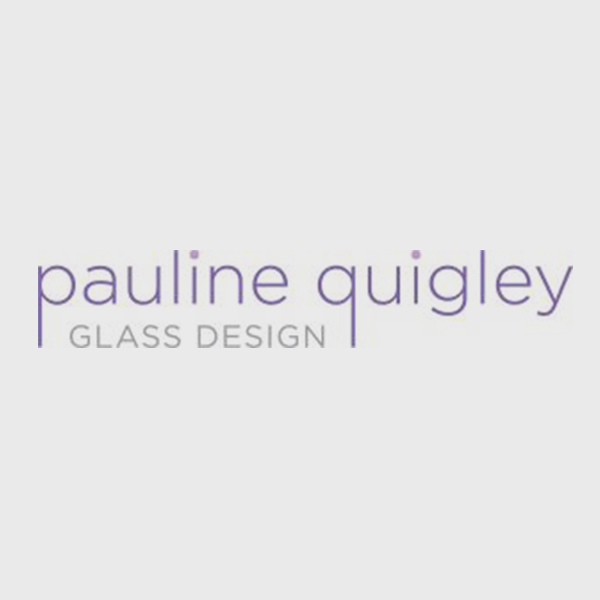 Whether you're looking for a stunning centrepiece, stylish finishing touch or simply some design inspiration, we are here to help. 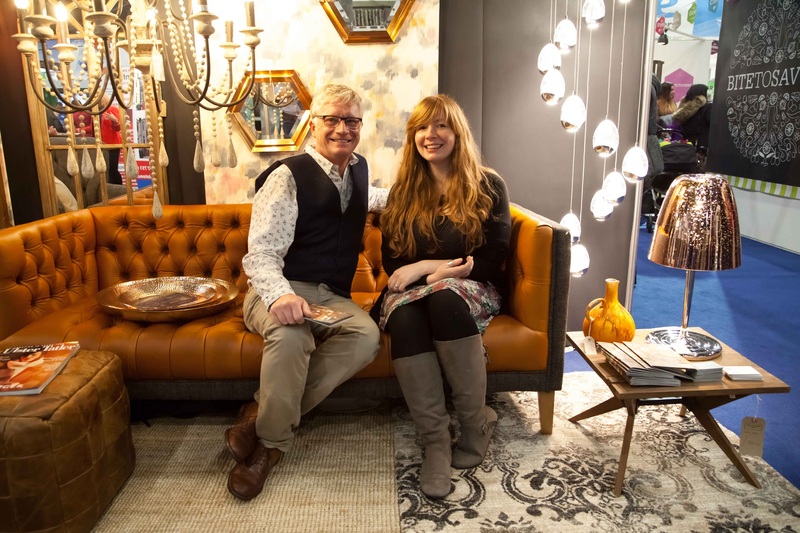 From the traditional and classic to the modern and innovative, our range of lighting can bring style and function to any room. 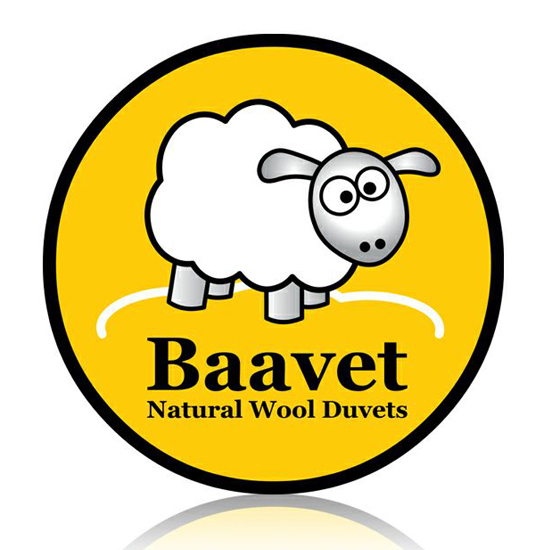 All of our products are made from 100% machine washable materials. 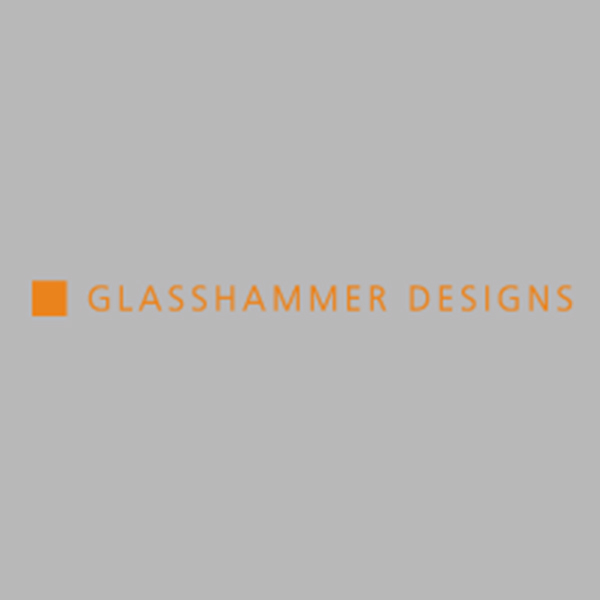 Stormhall Limited was established in 2007. 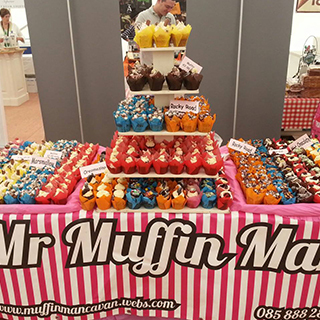 We started working one market a week and have now expanded to all the large shows around Ireland. 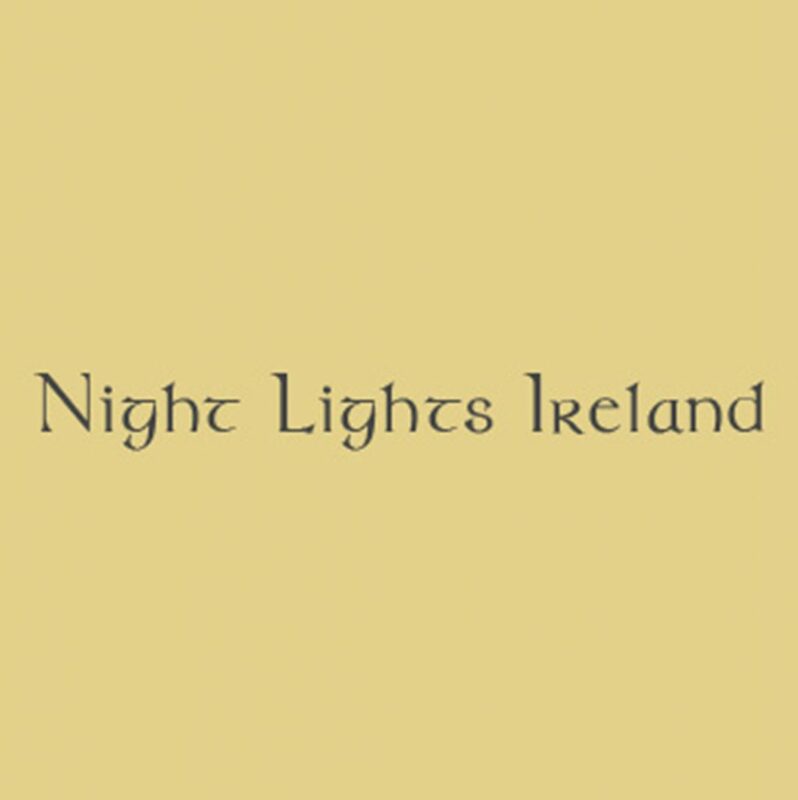 We started selling nightlights in 2008 and now we are the largest retailer of nightlights in Ireland and probably Europe. 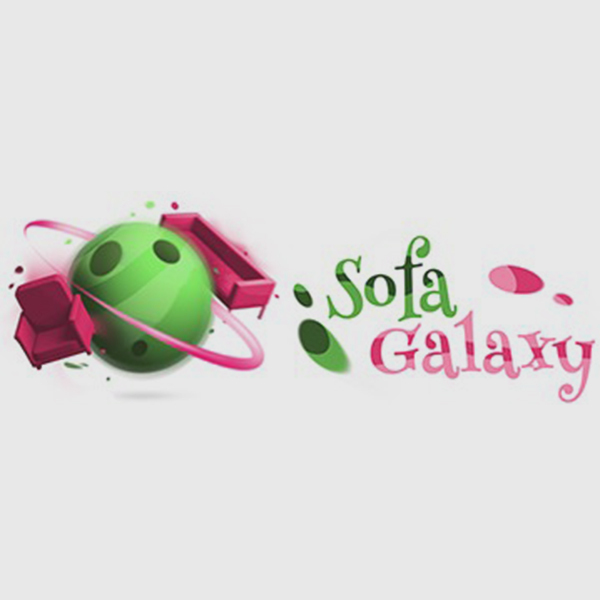 We have grown the product from a novelty item to a very functional product. 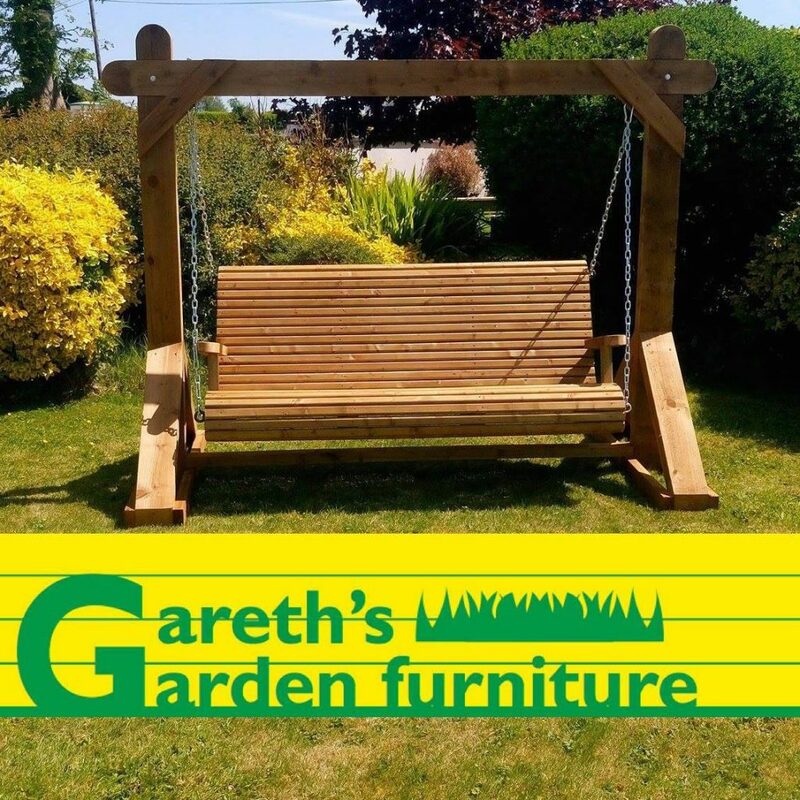 Traditional handcrafted garden furniture, made in the UK and delivered fully treated and assembled. 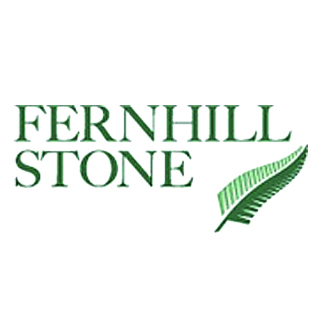 Fernhill Stone are passionate about delivering true to nature, quality stone cladding and brick facing that is manufactured to the highest quality and design. 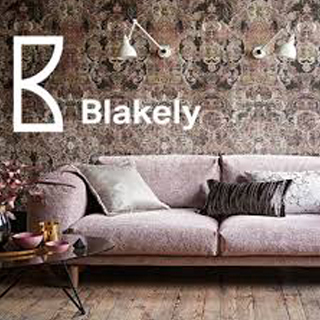 Blakely provide a bespoke interior design service, an upholstery and furniture workshop service as well as an unrivalled resource of sample fabrics and wall coverings. 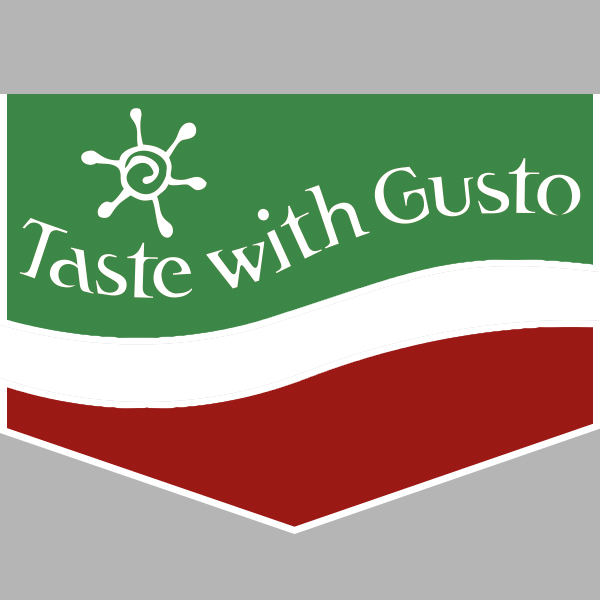 We are passionate about many things. 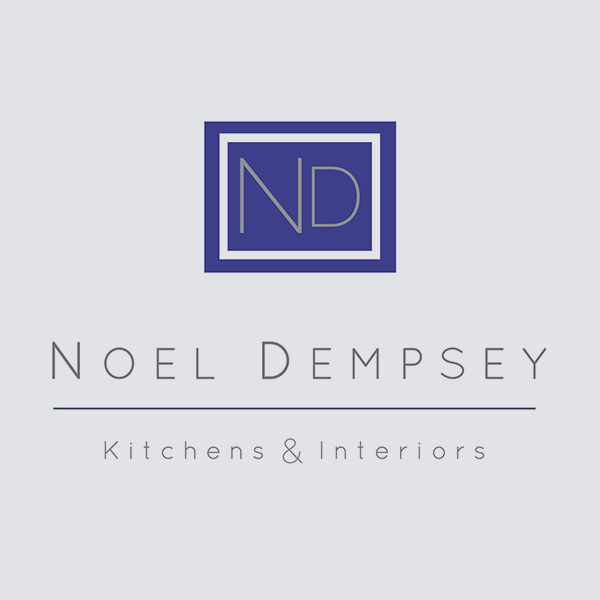 About quality and service, about the craft, but above all about interiors. This passion sets us apart. 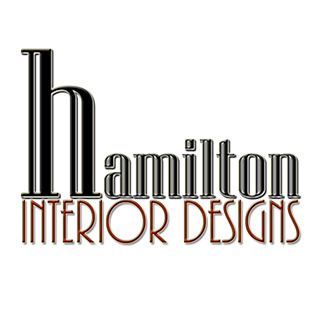 All Hamilton Interior projects are completed to the highest standards in interior design don’t take our word for it why not see what our clients have to say. 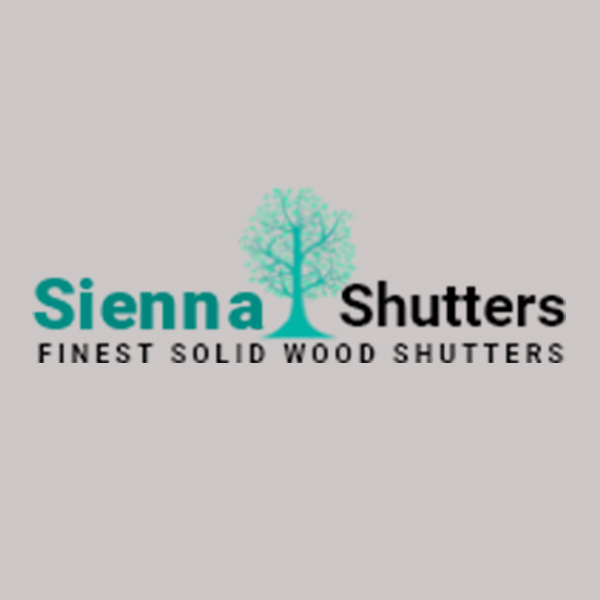 Browse through our completed projects and explore new possibilities to help you create the home interior you have always dreamed of. 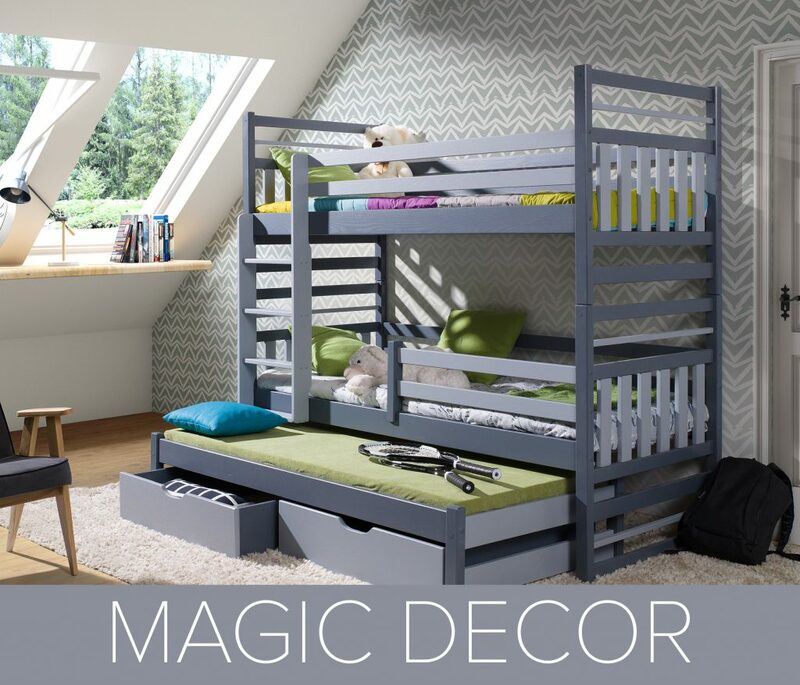 Magic Decor – local company based in Mullingar, offering a great selection of children’s furniture and wall decorations mainly in online sale. 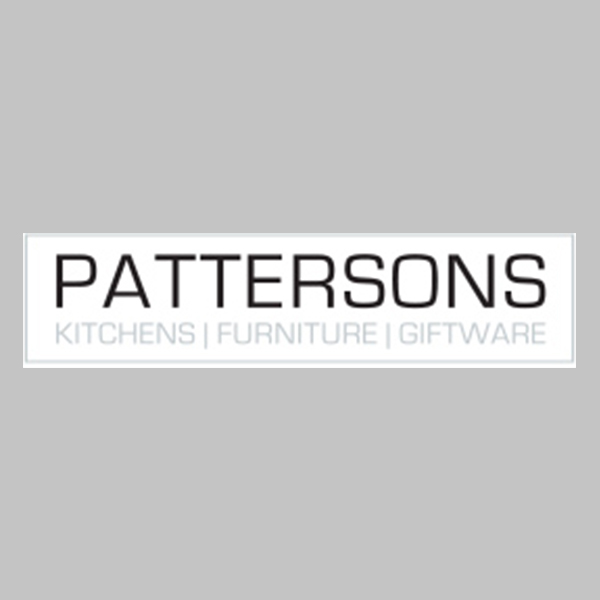 WE DON’T HAVE A SHOP OR SHOWROOM – ALL OUR PRODUCTS ARE SOLD ONLINE ONLY. We offer wallpapers murals produced on licenses, the world’s largest corporations – Disney and Marvel. 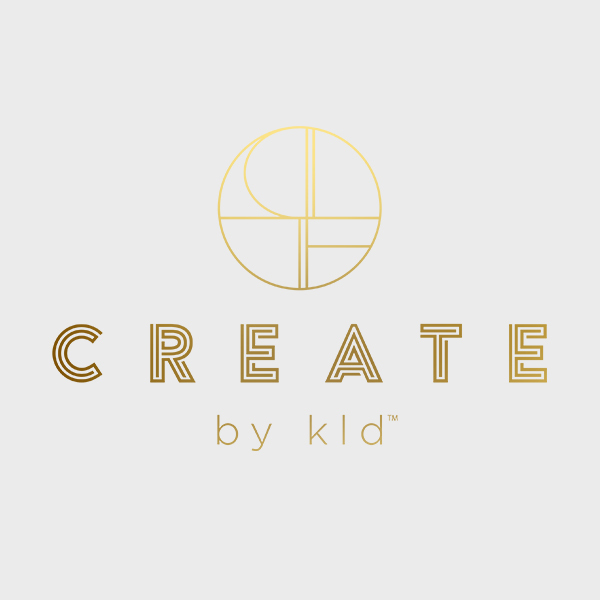 Our furniture are made in Europe from high quality materials and in accordance with all European Union standards ensuring safety and practicality for children above all. 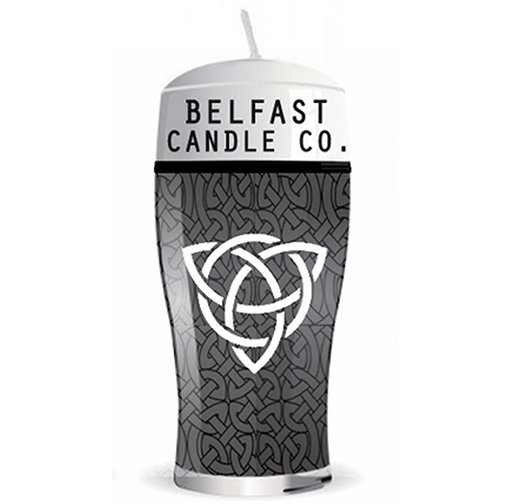 My original product was designed to help my Mother, who suffers from arthritis, to fill a coal bucket from her coal storage bunker. When the bunker was full, it was difficult to shovel coal out due to the weight from above. 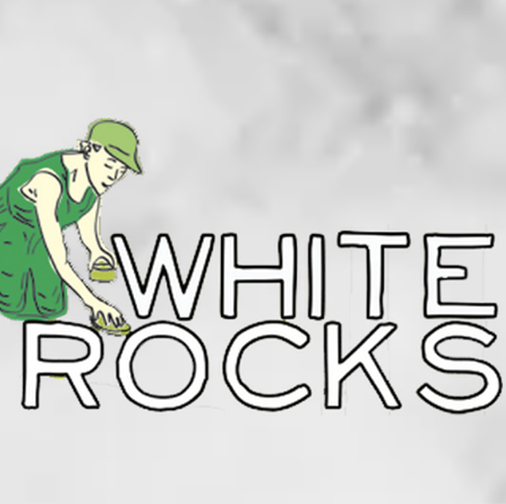 When it was empty it was difficult to gather coals which were scattered or had accumulated at the back of the bunker. 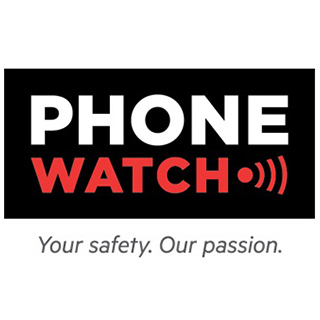 PhoneWatch are Ireland's No.1 for Safety Alarms since 1991, offering a range of monitored alarm solutions for Burglary, Smoke and Carbon Monoxide for homes and small businesses. 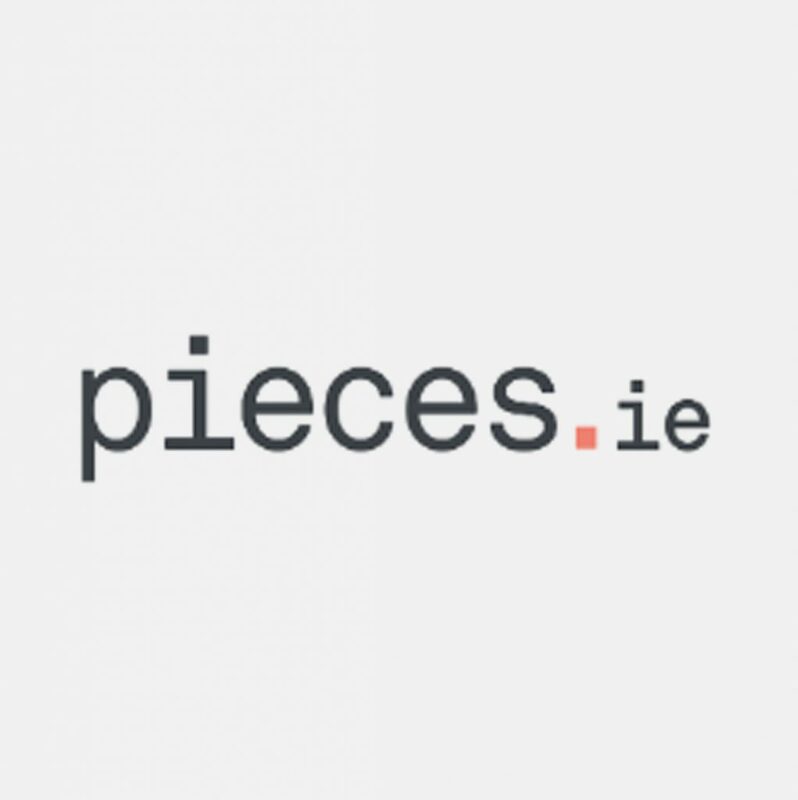 At PhoneWatch, we instantly respond to your burglar, smoke and carbon monoxide alarms from our state of the art Alarm Receiving Centre in Dublin. 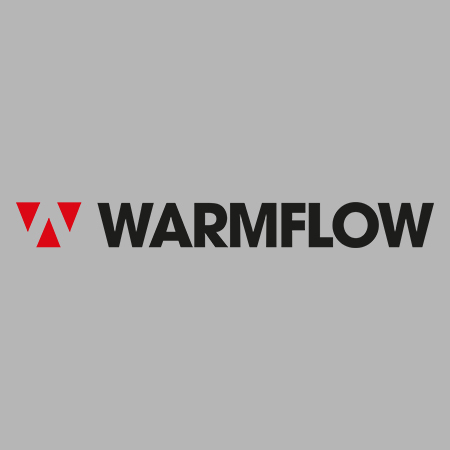 Founded in 1970, Warmflow is Northern Ireland’s leading manufacturer of award winning, oil fired boilers with over 45 years experience heating homes across UK & Ireland. 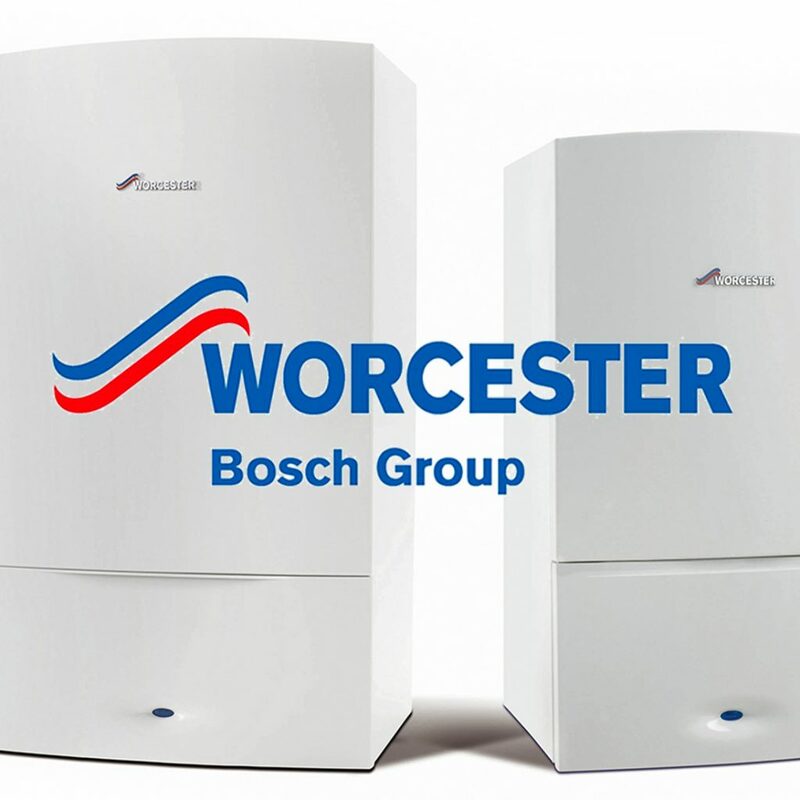 Our award winning range includes oil fired boilers, including the UK & Ireland’s first double A rated combi boiler, hot water cylinders, renewable technologies including Europe’s most efficient ground source heat pump and wood pellet boiler as well as offering a metal fabrication service. 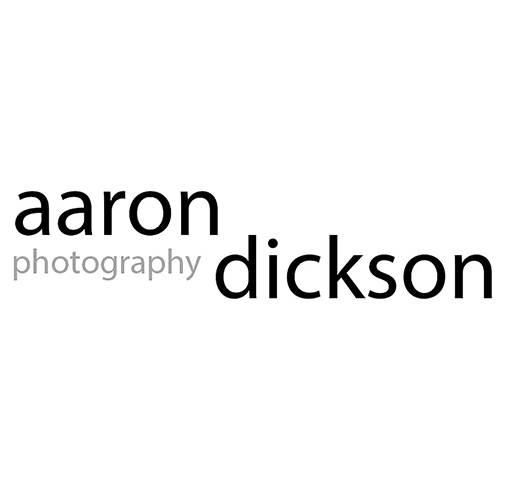 I am Aidan White, a freelance photographer living in Wicklow town, Ireland. 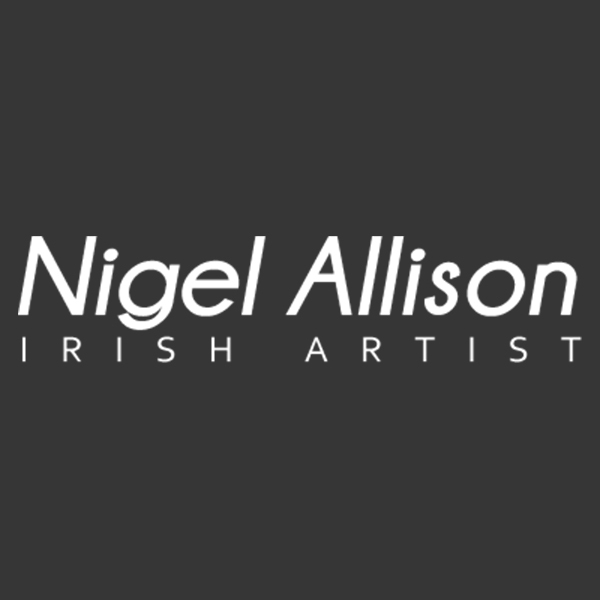 Born in Birmingham, my family originates from County Donegal and I returned to my roots here in Ireland in 2002. 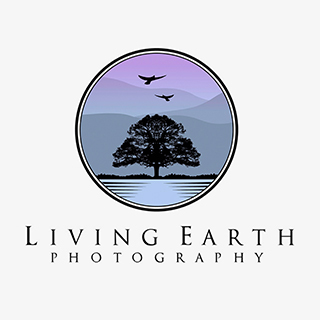 One could say that my original passion for photographing the great outdoors has been inspired by the majestic landscapes and wild seascapes of my parents' home country. 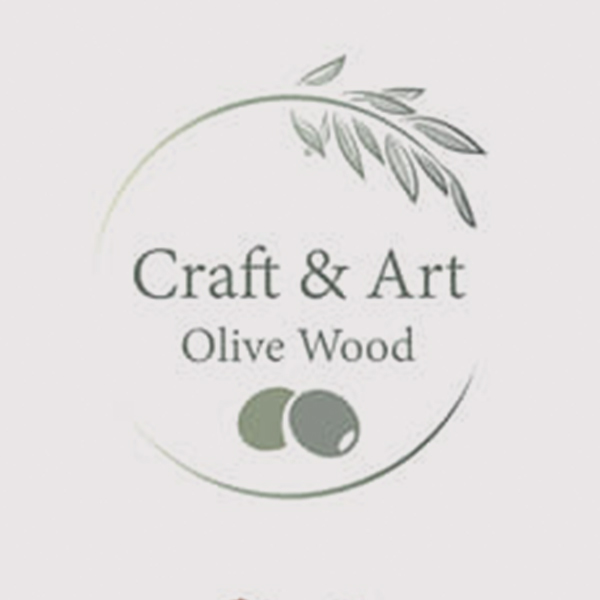 Learning - from established masters of Woodturning who have come to our workshop. 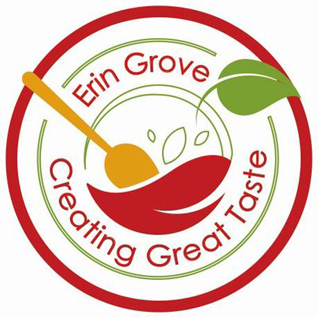 John & Katrina are the first importers of cold pressed, naturally produced Sesame and Peanut oil from Myanmar to Europe. 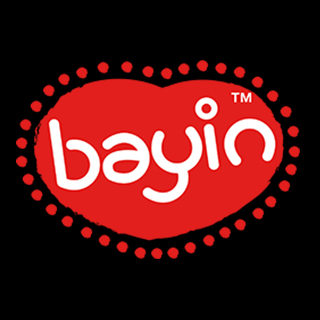 This is just the beginning of the Bayin range of Myanmar food. 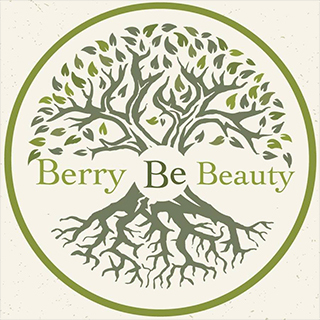 Berry Be Beauty was founded by award winning entrepreneur Lorna Venton, who spent many years working in the beauty industry as a qualified reflexologist, tutor, beauty and holistic therapist. 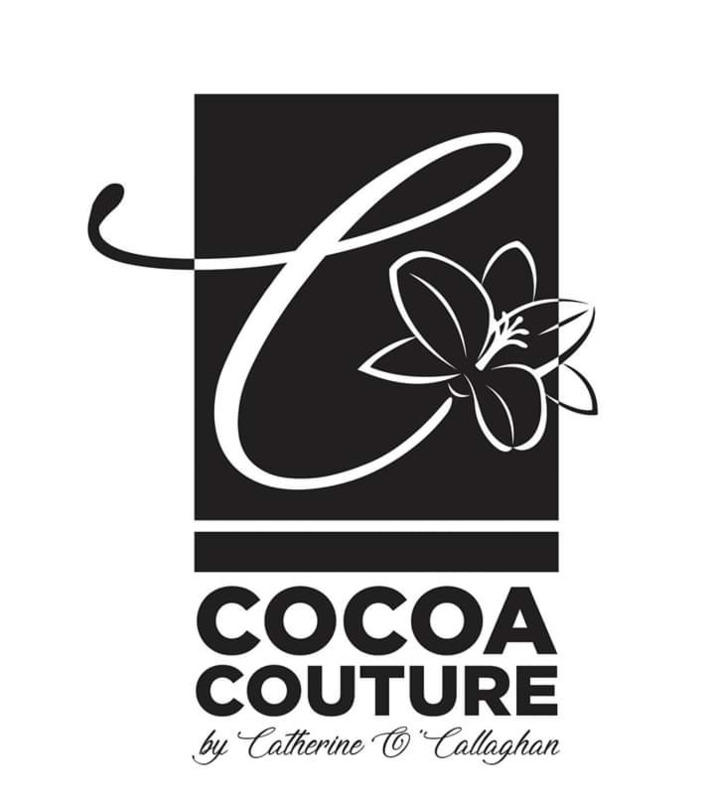 Located in North Dublin, we make natural beauty products and essential oil, soy wax candles and diffusers. 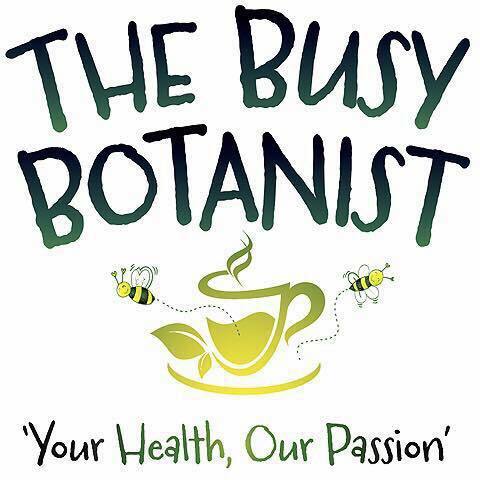 After spending years looking for a suitable natural alternative to her sensitive skin, she decided to set up a business and make her own. 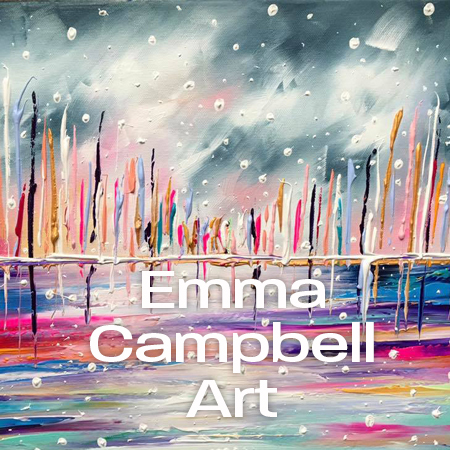 Emma Campbell is an Irish artist who's roots derive from a mixture of Impressionism and Abstract art, you will find her work right in the middle, combining these two styles together. 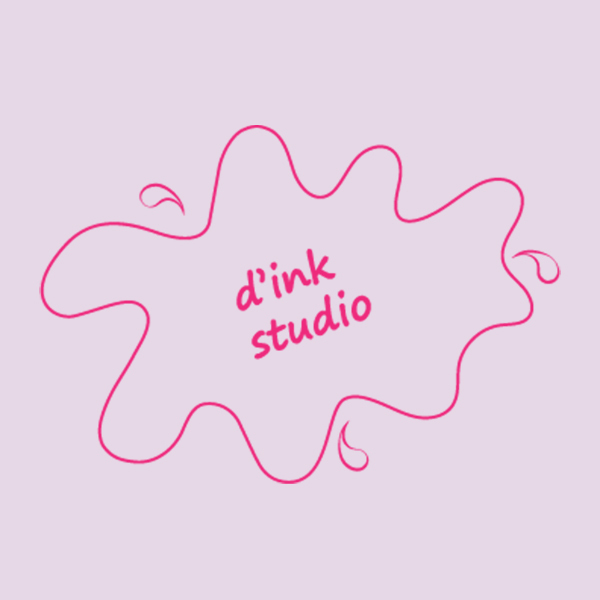 Creativity lies from within,expressing ones true mind and soul. 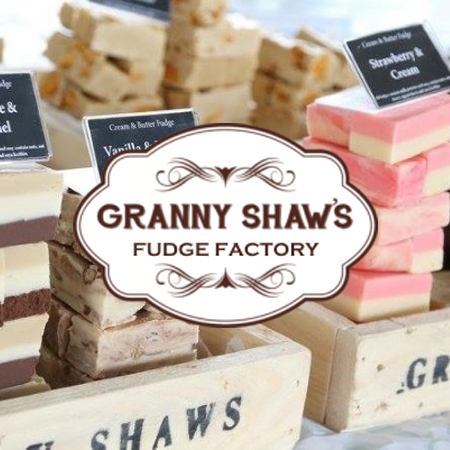 Granny Shaw's fudge is handmade in County Antrim Northern Ireland and is sold locally at fine food and artisan markets as well as being enjoyed internationally thanks to our online ordering. 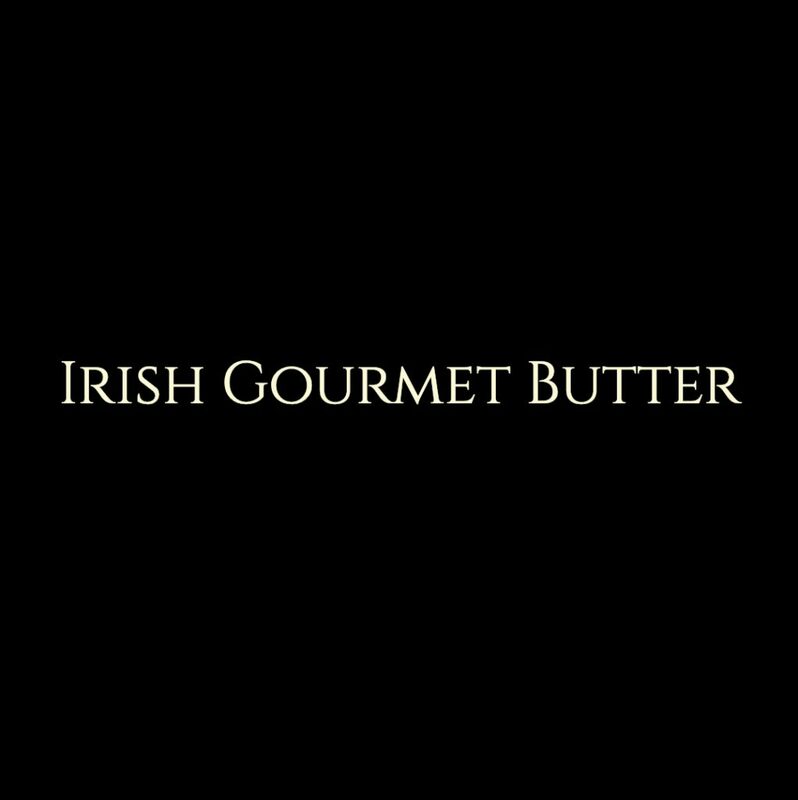 Our fudges are made on a daily basis using only the freshest ingredients and Irish butters. 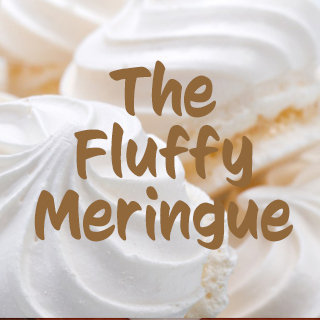 The freshness of our fudge is what is key in delivering the ultimate taste sensation. 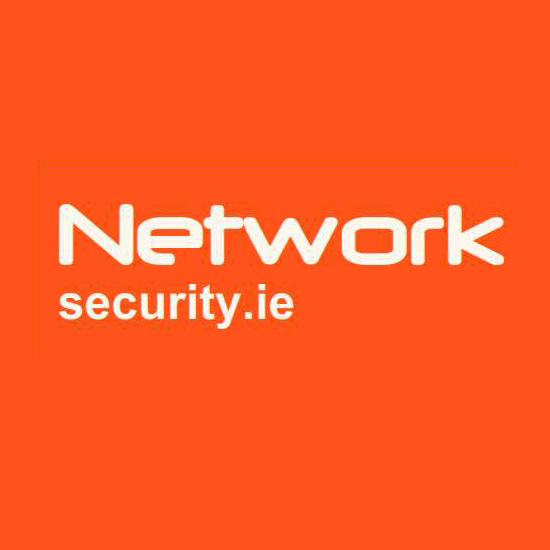 Network Security Solutions is a wholly Irish owned company established in 1996. 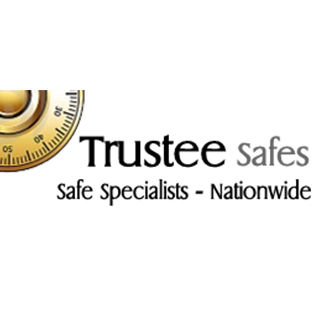 Our team is made up of highly skilled, young enthusiastic individuals with a wealth of experience, knowledge and dedication to meet your security needs. 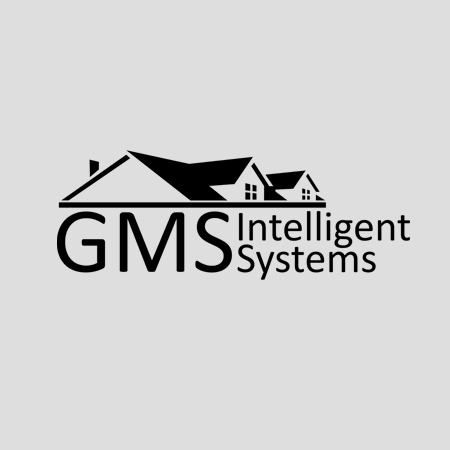 Our aim is to install and maintain high quality specialist Monitored security systems meeting the needs of both the commercial and domestic markets. 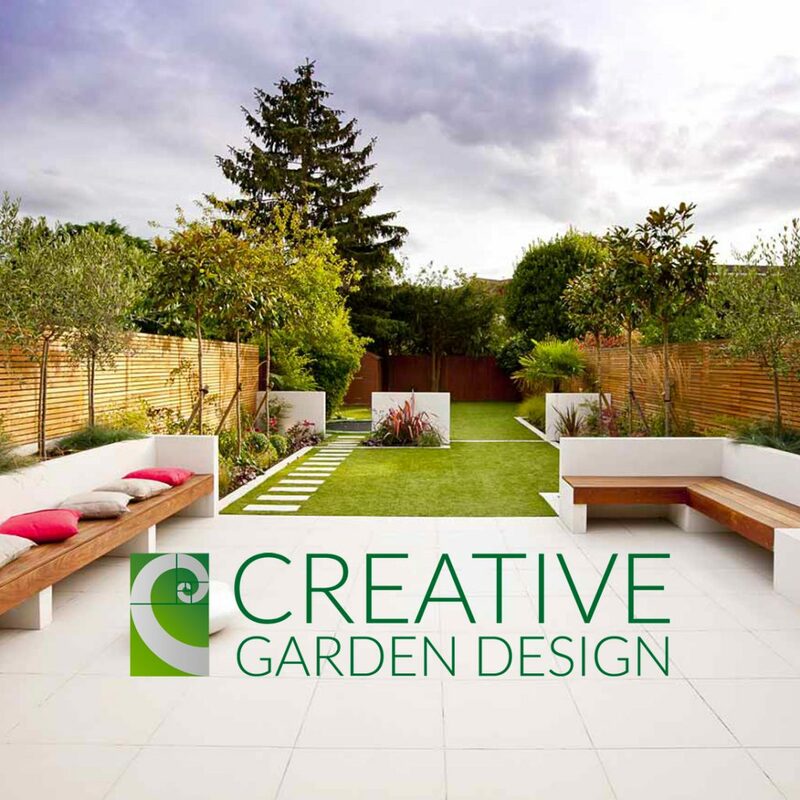 Our gardens designs use materials that reflect your home and the plants and features create mood and experience for all the family to enjoy. 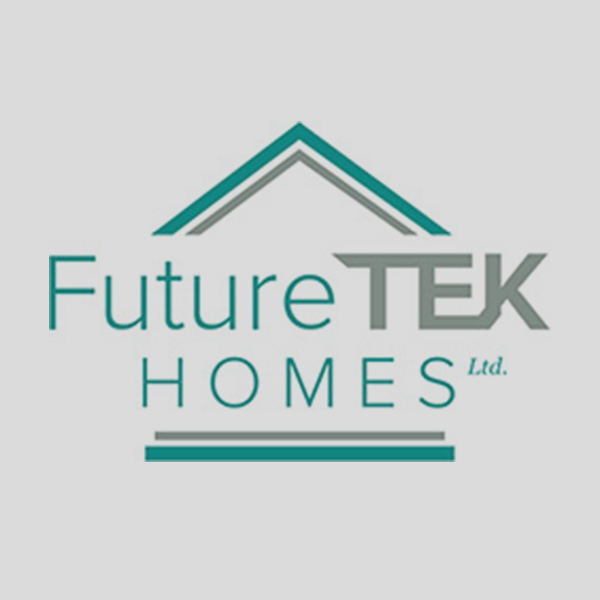 With a reputation built on understanding products and providing quality workmanship, we have been improving homes since 1981. 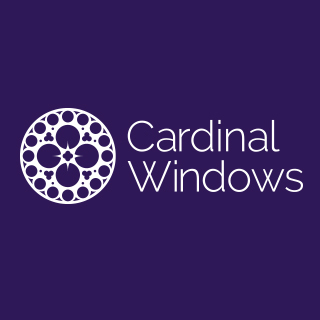 If you’re looking for window suppliers in Northern Ireland, contact us today. 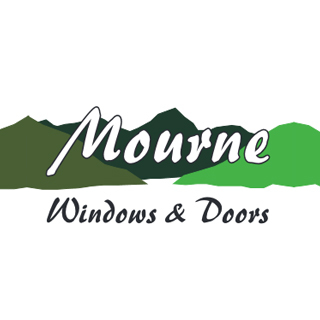 At Mourne Windows & Doors, we have been supplying and installing high-quality uPVC windows, doors, conservatories and sunrooms for customers throughout Ireland for the past 35 years. 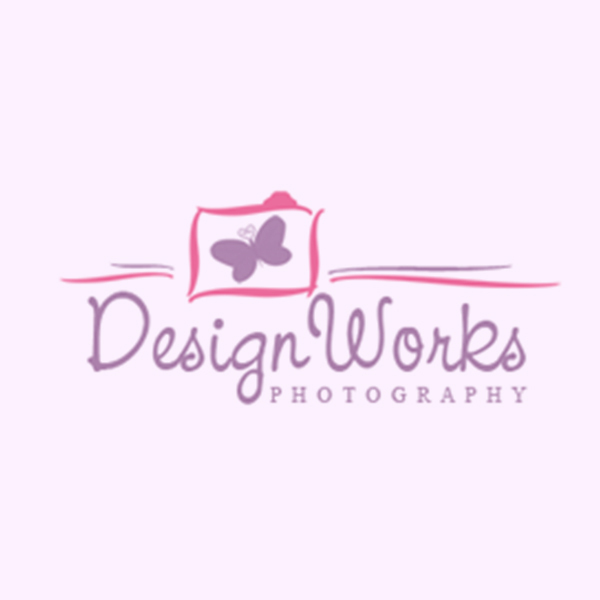 We believe in providing high-quality services at affordable prices. 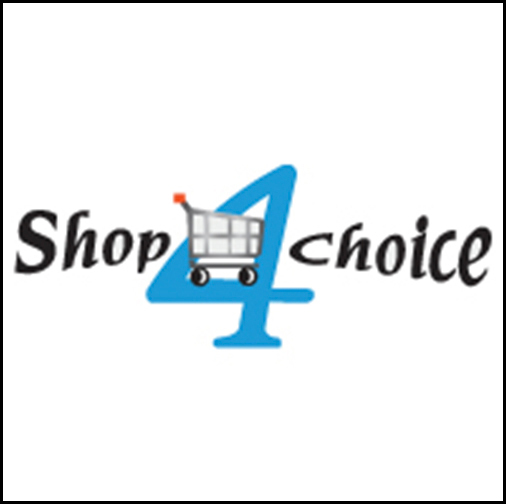 At Shop4Choice we are dedicated to bringing you some of the most innovative and best selling products from all over the world. 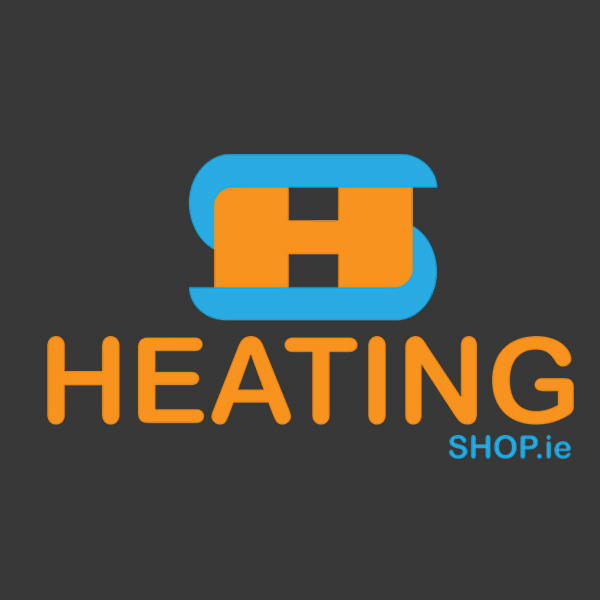 This is an exciting time for us with the opening a new retail store in Northside Dublin, launching the iSpin Mop through RTE 1 TV and adding the H20 Mop X5 to our range. 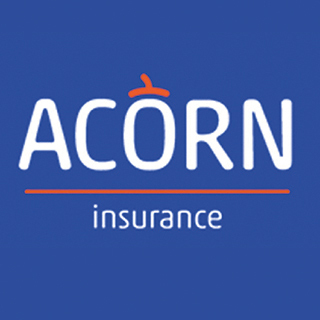 We take great pride in our customer service insuring each individual customer is entirely happy with our service and products. 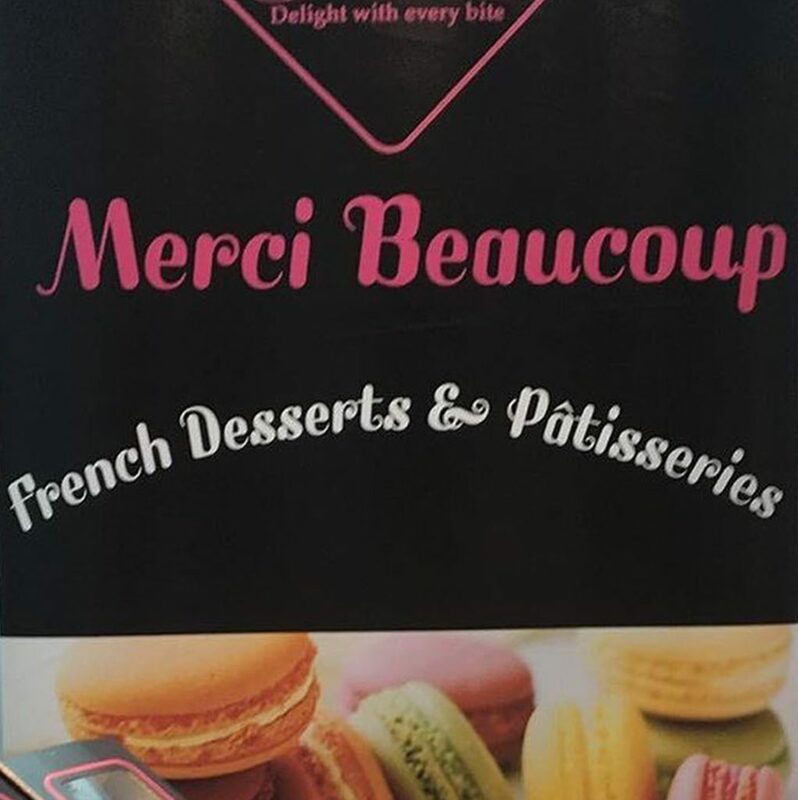 We hope you enjoy your shopping experience with us just as much as our products. 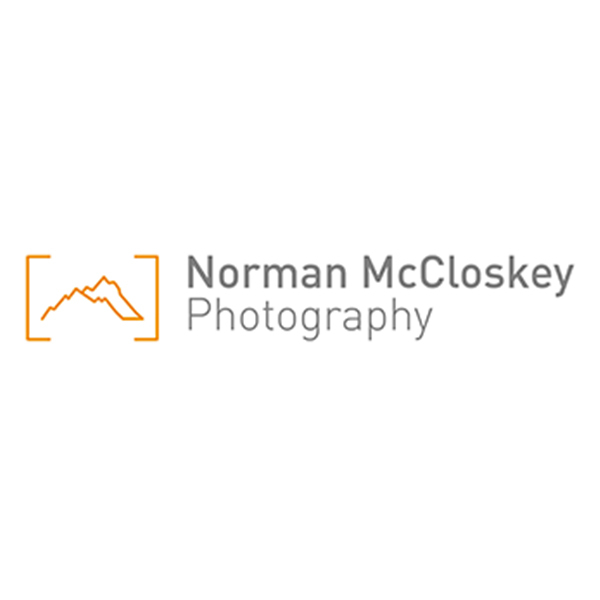 My interest in photography began over 15 years ago and quickly grew into a passion as I began travelling. During this time I became more drawn to places where humans were still living much at the mercy of nature, The Himalayas in Nepal and Mongolia. 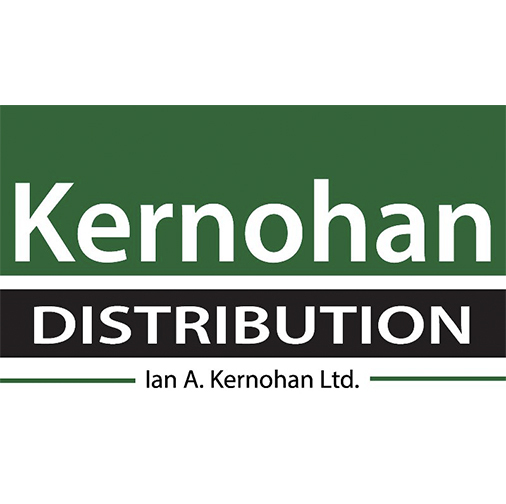 Ian A. Kernohan Ltd. is a distributor of industry leading brands for bathrooms, kitchens, central heating systems, stoves, chimneys & flues and ventilation. 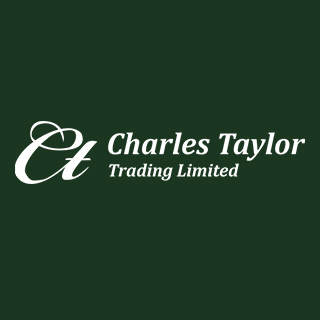 Through our expert knowledge and experience we want to become your trusted partner as you choose goods from our extensive collection of well known , long-established brands. 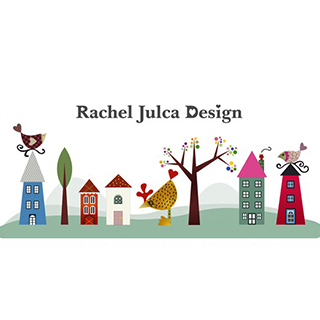 Everybody has the ultimate vision for their home. Our team of interior experts help you turn that dream into reality, on hand at every point of your journey, leaving your rooms with a striking transformation to be adored by all. 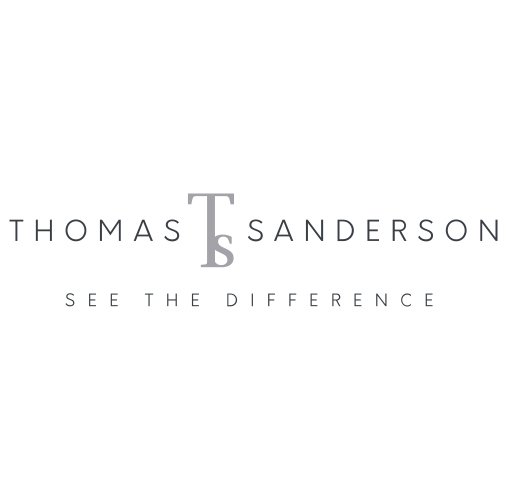 From an initial design visit through to a millimetre perfect finish, at Thomas Sanderson we take pride in ensuring our timeless products and innovative services meet your highest expectations. 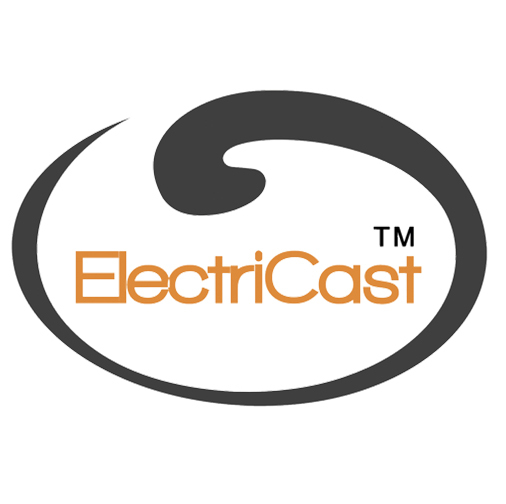 ElectriCast™ heaters offer the user a high degree of flexibility. The adjustable heating element can be operated with or without the optional remote control. 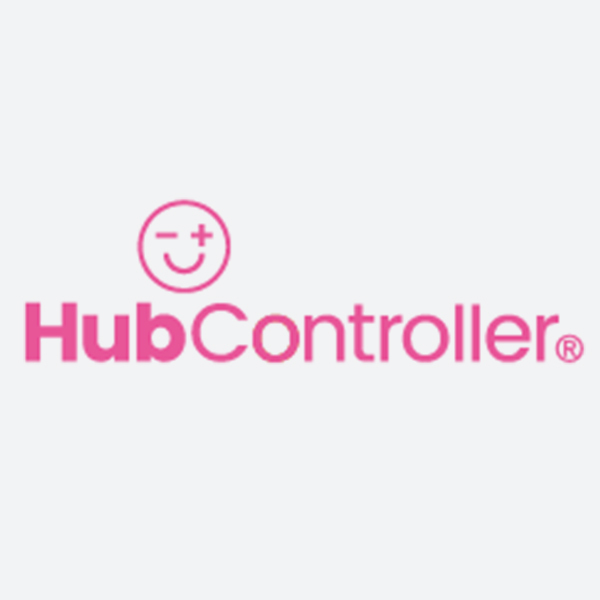 The infrared remote control offers additional convenience and makes operations such as inputting on/off times easier. The large display makes this very easy for the user. 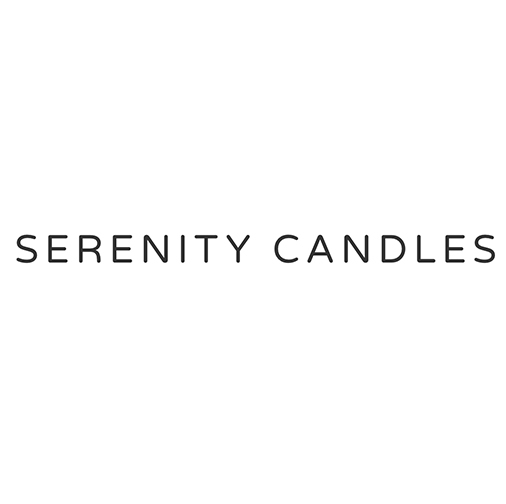 Providing the best in sensory experiences with our fragrance diffusers. 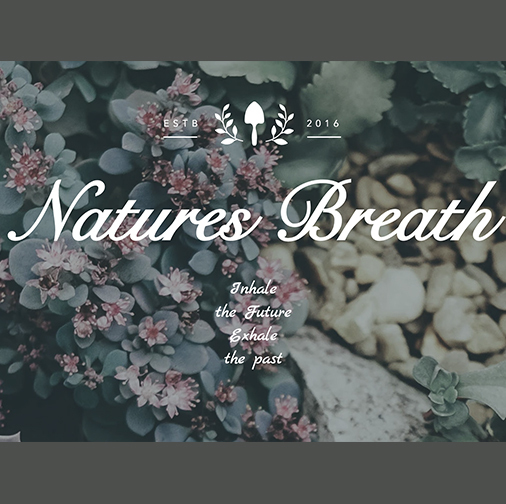 Easily create a serene environment with our stylish line of essential oil ultrasonic diffusers. Partner our aroma diffusers with your favourite Lagunamoon essential oil or concentrated blend for the ultimate fragrant experience. 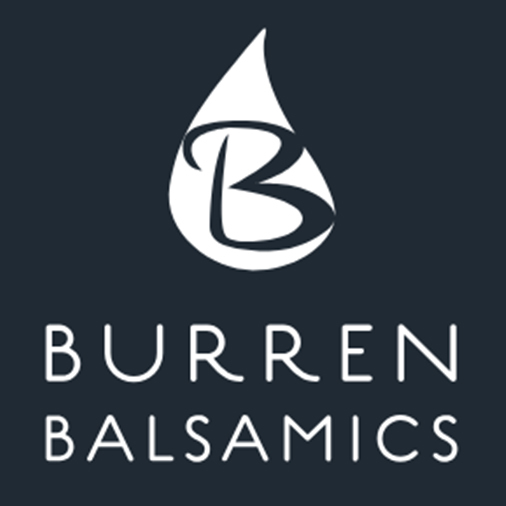 Burren Balsamics was founded in 2014 with the aim of producing top quality vinegars fusing local flavours with superior quality Balsamic Vinegar of Modena to create a delicious range of affordable condiments. 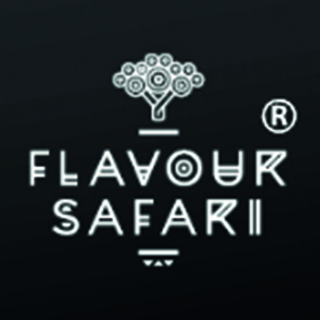 Over a cup of coffee, we decided to produce a range of fruit infused black Balsamics. 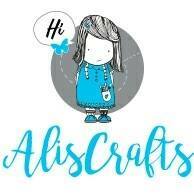 Our aim was initially to sell the products at local craft fairs and retail outlets. I try to follow my dreams and aspirations while trying to be a good role model for my children. 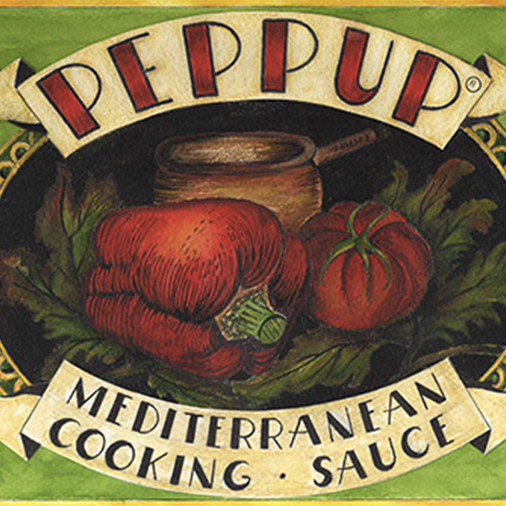 Today my kitchen is the hub of family activity and, while lovingly preparing good food for my family and friends, I have created PEPPUP. The Hats - each one is unique and handcrafted with all fabrics and embellishments hand sewn into position ensuring an heirloom quality finish. 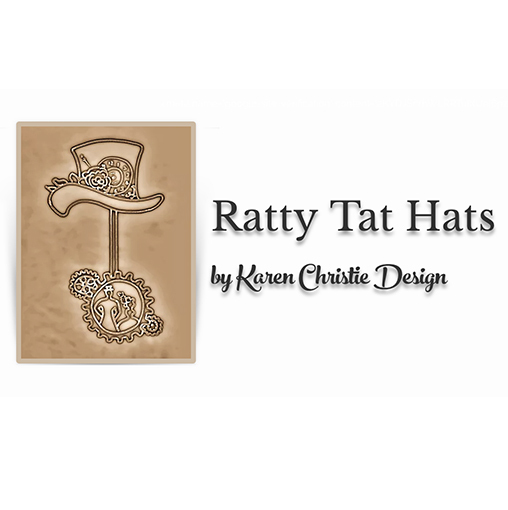 The hats are lined with pale gold satin and Ratty Tat Hat's crown branding and presented in our own quirky hatboxes. 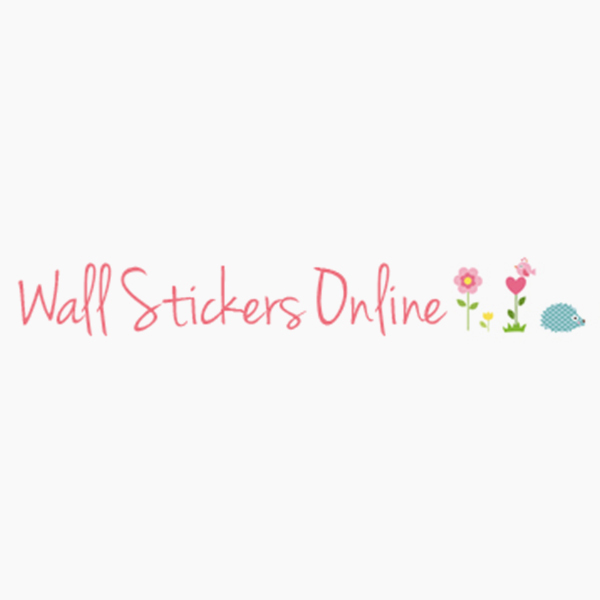 Wallstickers on-line is dedicated to bringing customers the best selection of posters and art prints in the world. 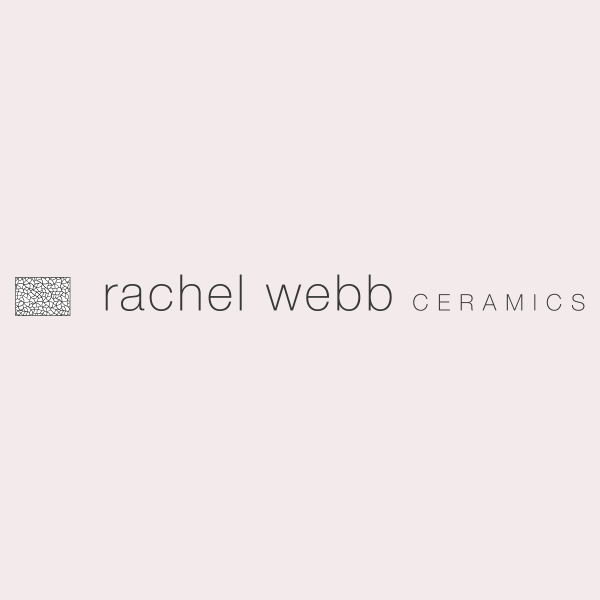 Coming in a range of designs and colours to enable our customers find a selection that is perfect for their home, apartment or office. 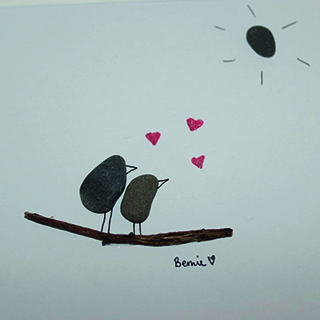 Our wall stickers are a fantastic way to transform the style and feel of a room. Among our collection you will find wall stickers for every room in your house, including the kitchen, living room, bathroom and bedroom. 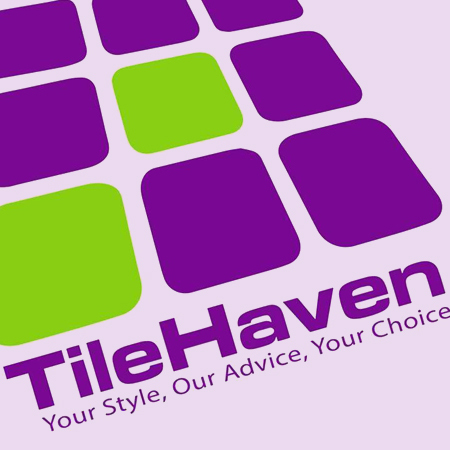 Mastercraftsmen that specialise at installing all styles of driveways and patios. 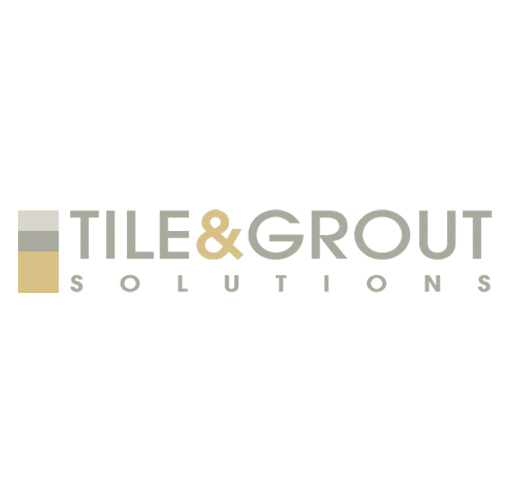 Using paving, tarmac, gravel or concrete, we will deliver a beautiful driveway or patio each and every time. 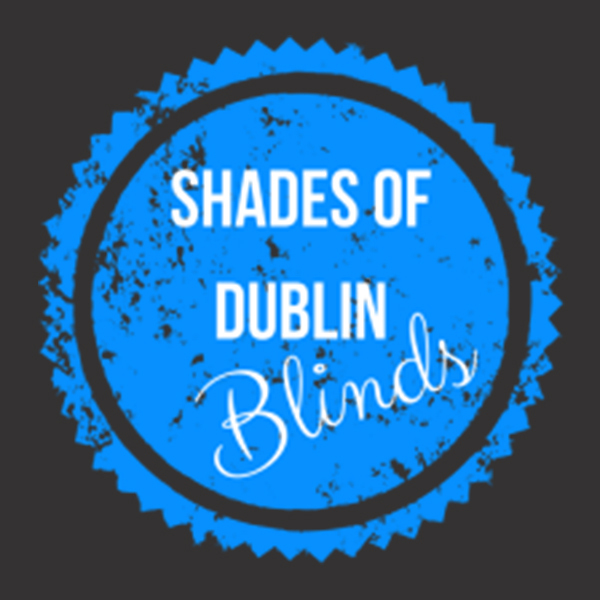 We are a Dublin paving contractor that prides ourselves on the quality of our paving and how cheap our paving jobs are in Dublin. 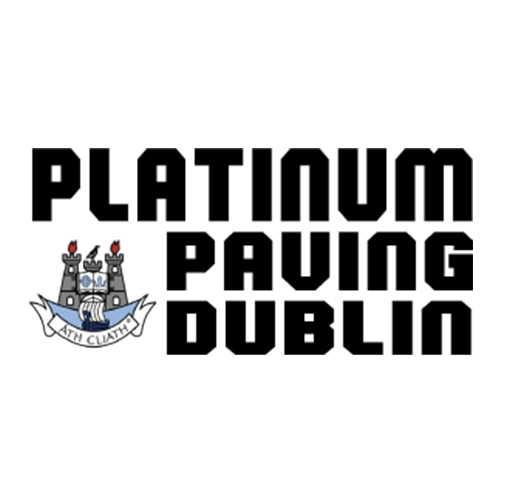 All our employees are professional and will meet our customers every requirement to guarantee they are satisfied with the service from Platinum Paving Dublin. 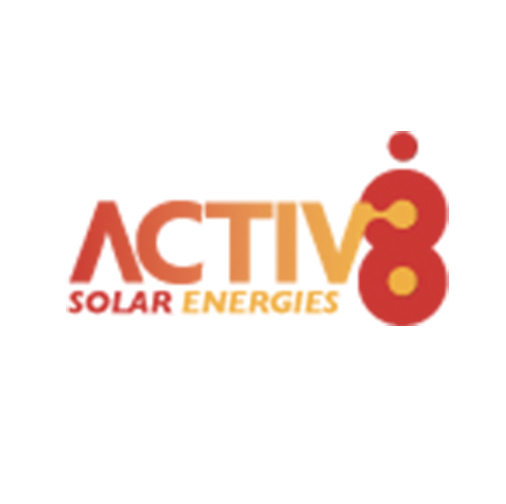 Activ8 Solar Energies was established in 2007 having been previously known as Ciaran Marron Electrical from 2004. 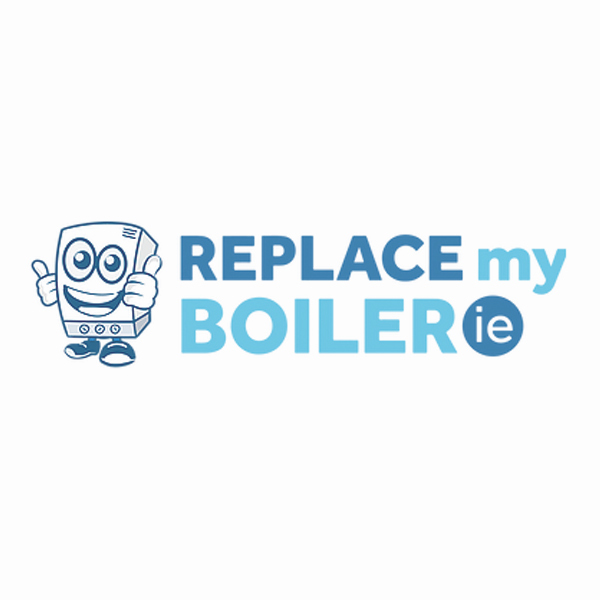 Since this distinct move, we are proud to have become Ireland’s number one installer of solar energy systems. In the solar industry for over 15 years the directors of Activ8 Solar Energies have gained their unrivaled knowledge and experience through the installation of over 7,000 systems supplied and installed across Ireland and the UK. 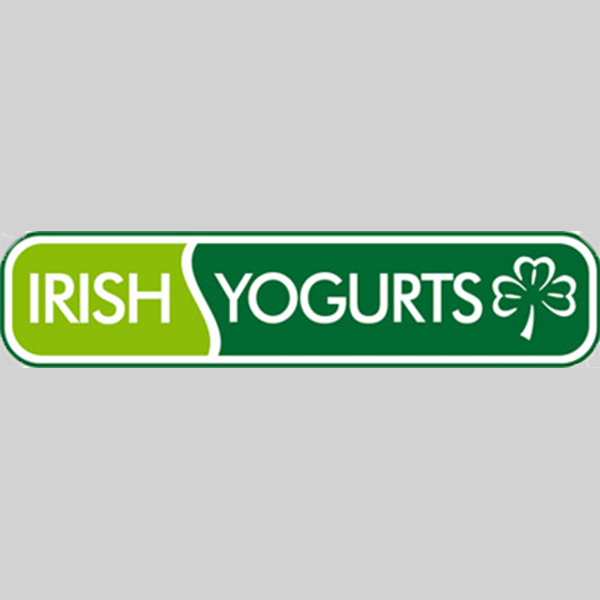 Our family run business is based in Clonakilty, West Cork, Ireland, home of where our delicious, premium traditional churn style yogurts are manufactured. 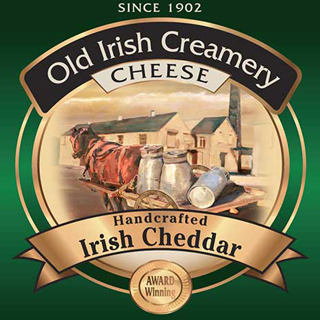 We use the best of ingredients, mainly local family farm fresh milk, from well cared for cows that are free to graze on the lush green pastures of West Cork. 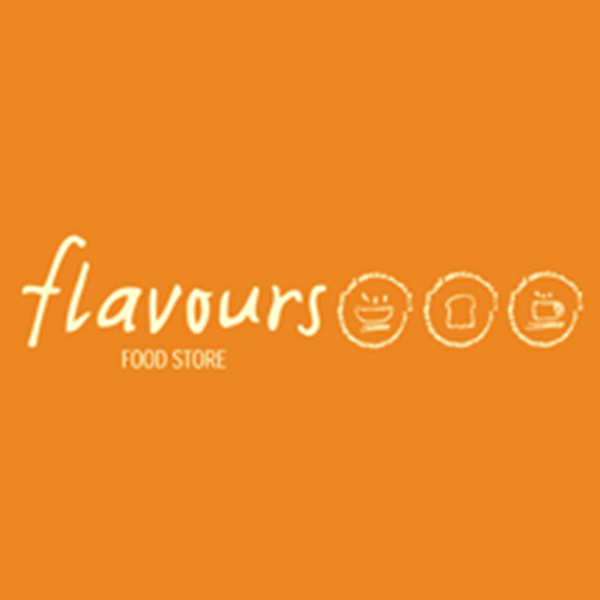 We specially select all our ingredients which include real fruit and live yogurt cultures to ensure the highest quality of products are made for all our customers. 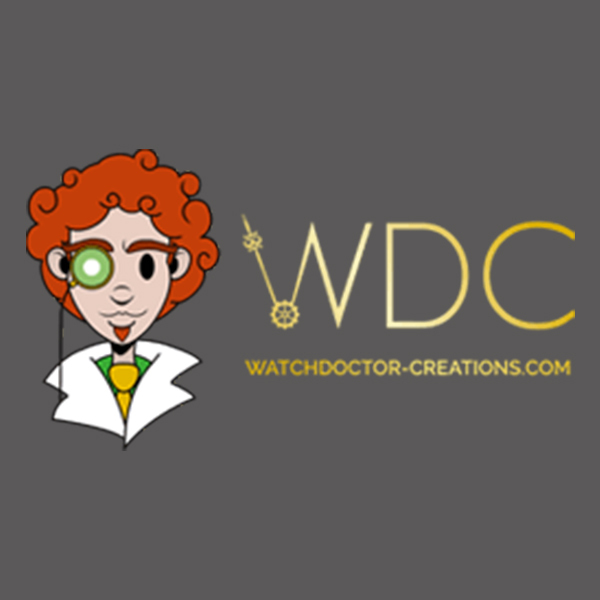 Watch Doctor Creations Ltd is an Irish company based in Kilkenny, jointly owned by the Watch Doctor extraordinaire, Mustafa Serbetci and Peter Toal. Mustafa trained extensively as a watch and clock maker in Germany before relocating to Ireland in 2010. 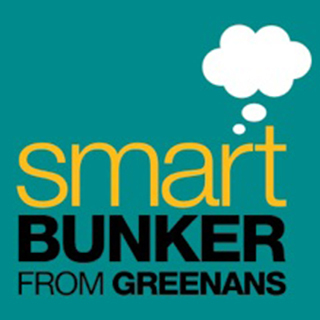 Peter was a senior manager in both the Smurfit and Amcor groups. 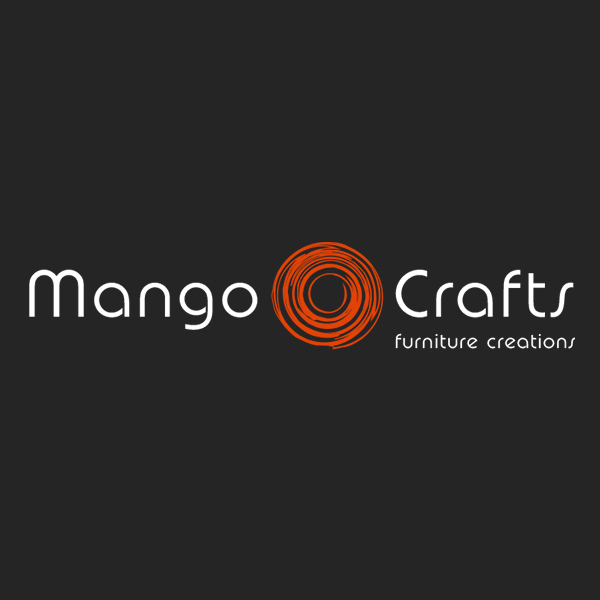 Over 12 years ago Mango Crafts was created by myself - Kevin Gallogly and my college friend Paul Hurley. 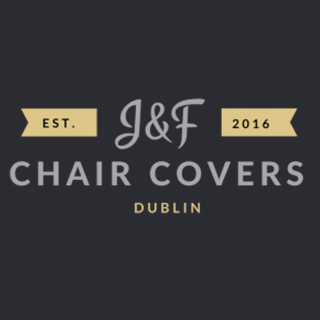 We had a vision to create something different, something awe inspiring and truly unique in the furniture & interiors marketplace. We believe we have truly surpassed that vision in the last 5 years. 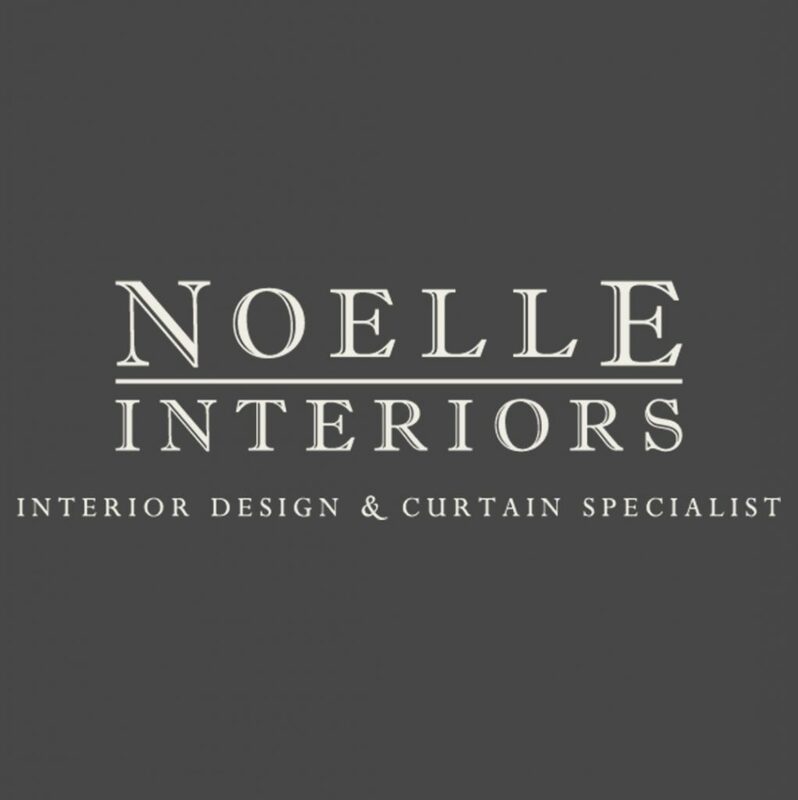 The Fabric Outlet are Curtain and Upholstery Fabric Specialists stocking a vast range of curtain and upholstery fabrics suitable for sewing enthusiasts, curtain makers, upholsterers and designers. 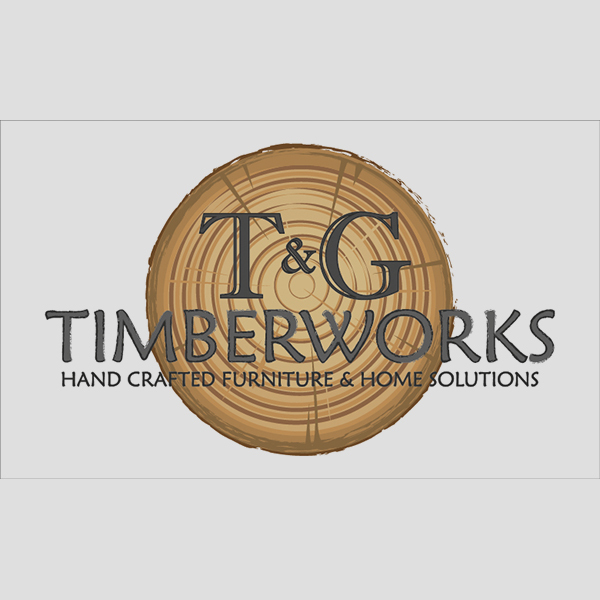 Whether it's an awkward attic room, alcove, or you just want a to make maximum use of the space you have, at T&G Timberworks we will design and build the best solution. 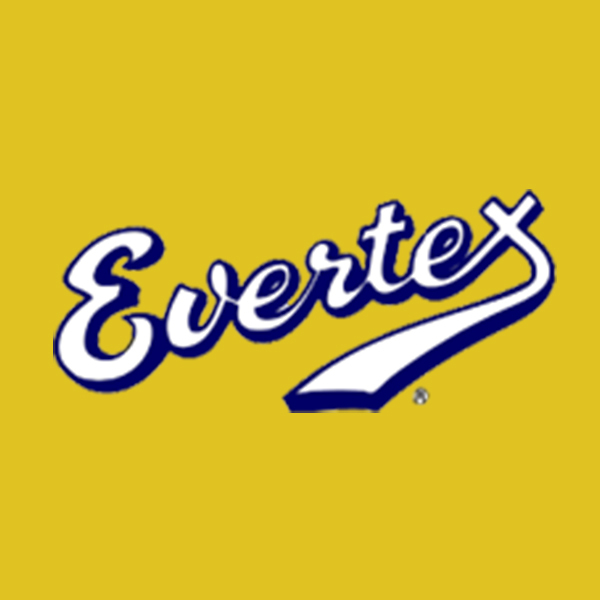 Evertex is an Exterior Textured Masonry Coating up to 20 times thicker than ordinary paint depending on the surface its applied to and is totally flexible so will move with your building. 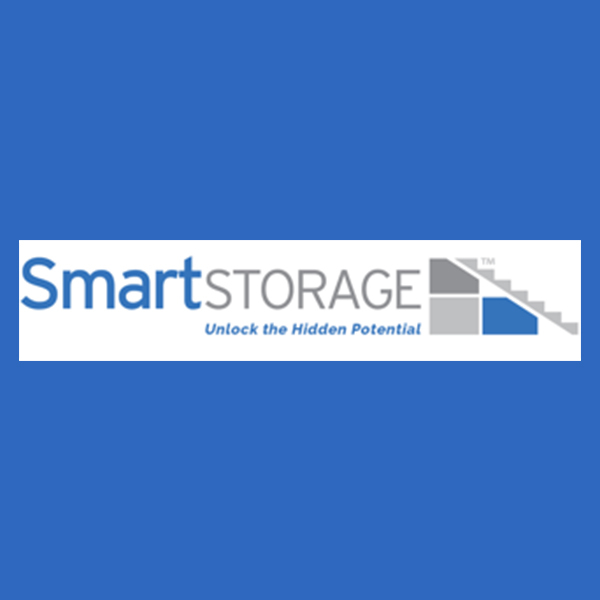 Smart Storage specialises in discrete home storage solutions. 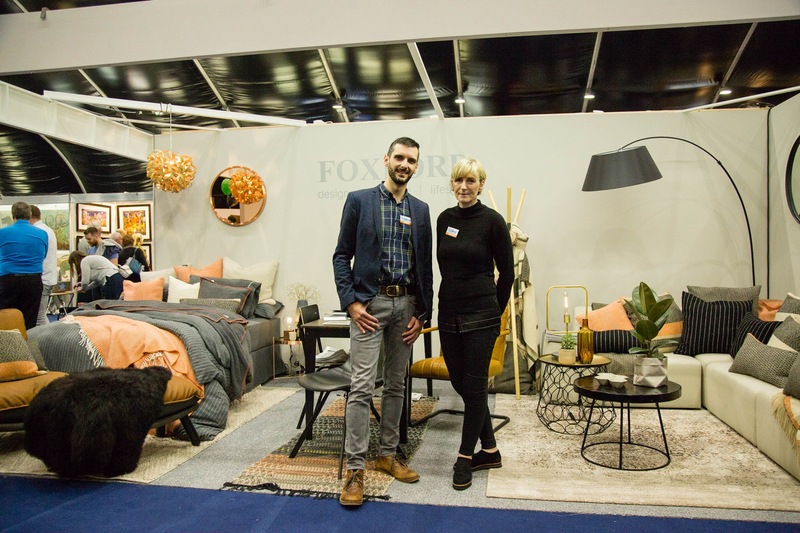 Prompted by the growing ‘shoe crisis’ in their own home, husband and wife team, Paul and Clodagh Jacob developed Smart Storage range of under the stairs storage solutions. Designed to fit under the main stairwell or attic space, the goal was to maximise storage by installing slide-out drawers. The units fold seamlessly into the wall without having drawer handles obstructing the hallway or room. 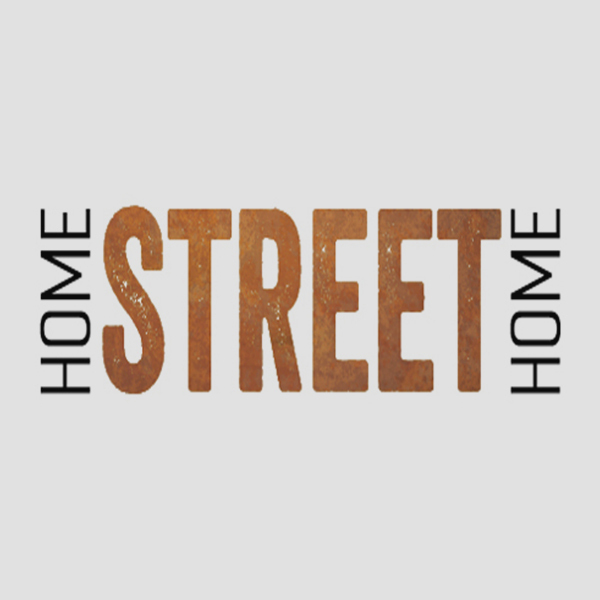 Home STREET Home - Irish Designs and Individual Statement Pieces from around the Globe. 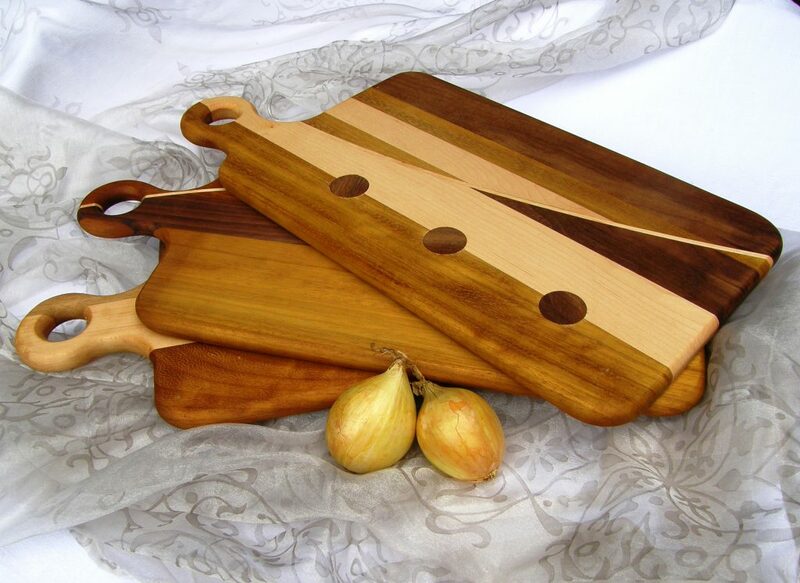 Promoting the Beauty of Reclaimed Wood and the Inventiveness in Modern Upcycled Designs. 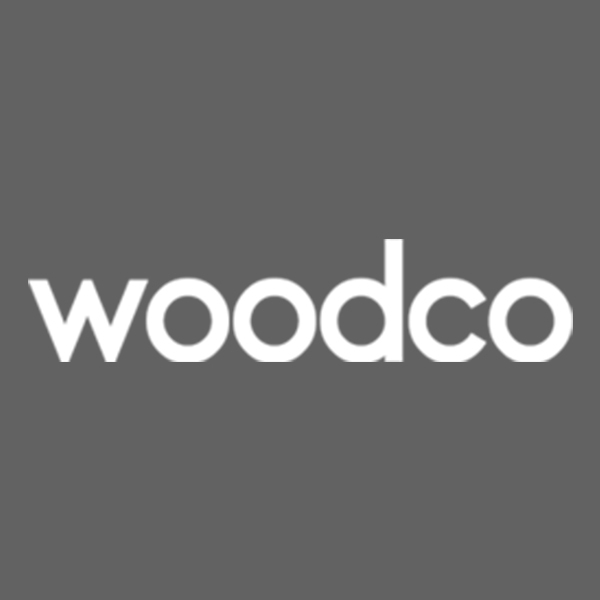 Cool furniture and Home Decor. 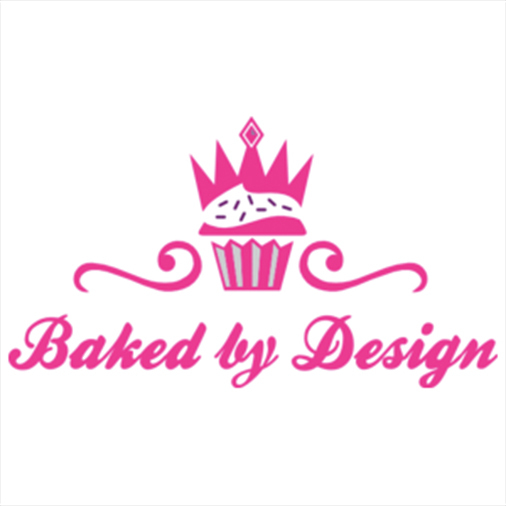 We give extra care in the taste and details of your Cakes Decorations to insure the best final cake suitable to our knowledge and your expectations, we will even go further to keep surprising you. 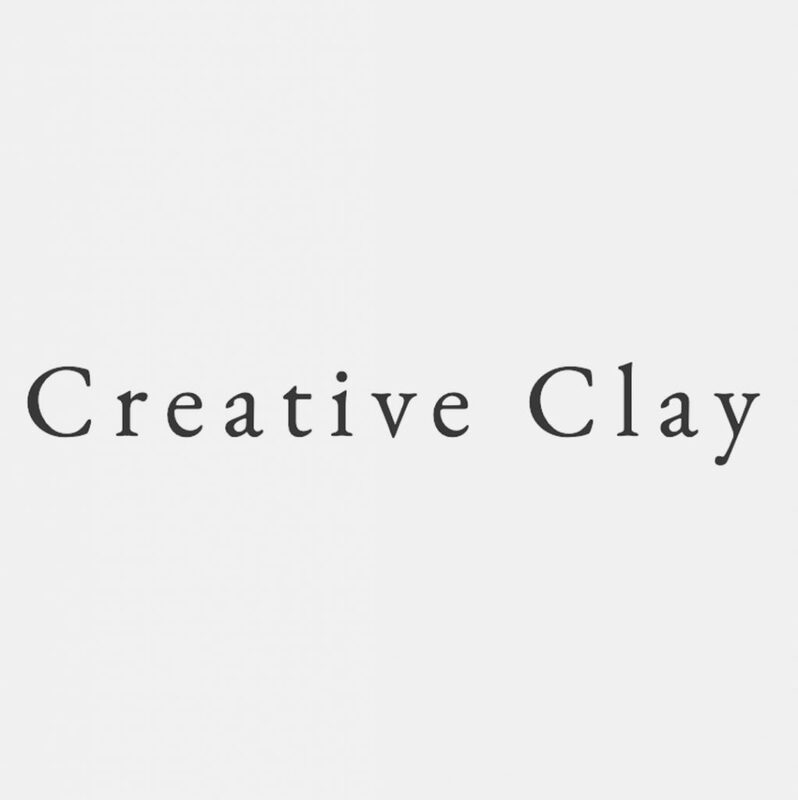 Handmade and hand painted Creative Ceramics for your home and garden. 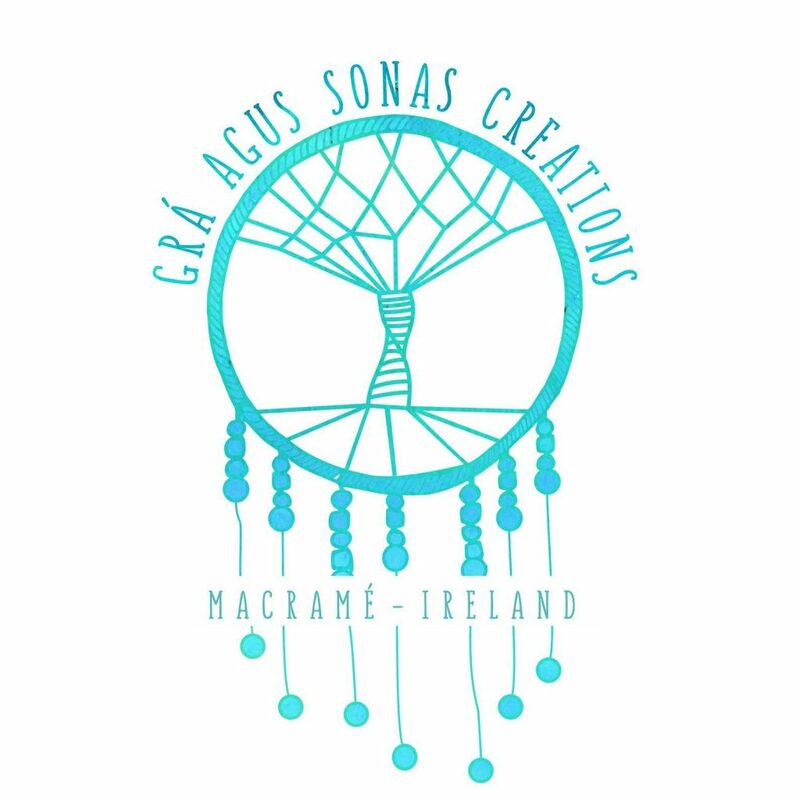 Designed and made in Ireland by me, Raquel, at my workshop in Ballycasey Craft & Design centre, Shannon, County Clare, Ireland. 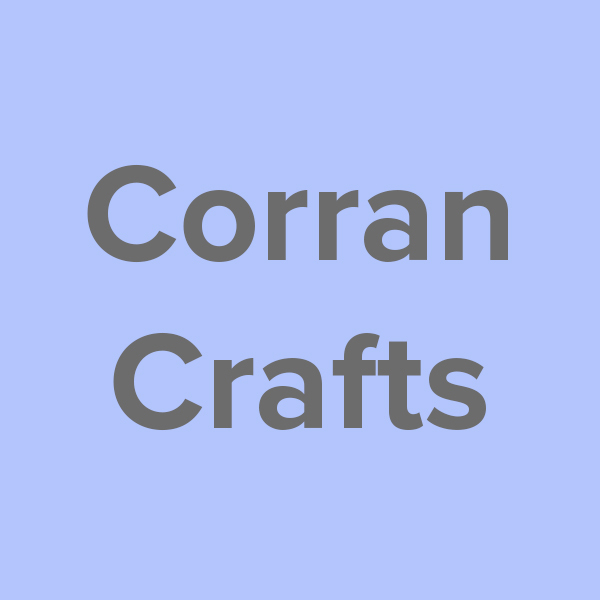 Wonderful unique ceramic gifts for so many special occasions. 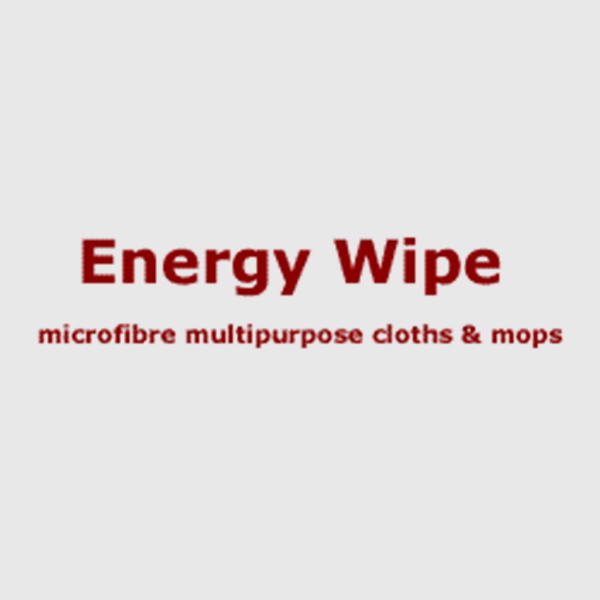 Energy Wipe is an Irish owned company founded in 1999. 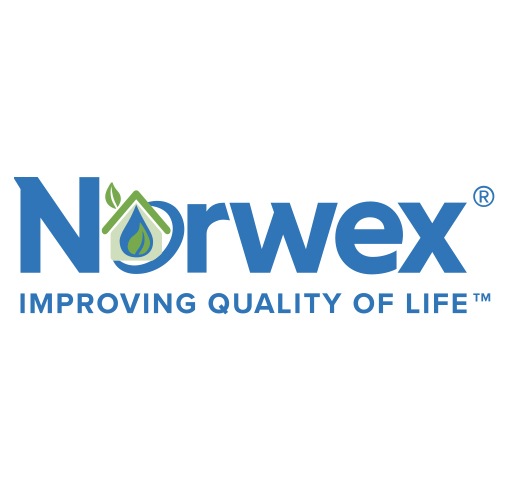 Our commitment is to provide the finest quality microfiber cloths and mops to wholesale and retail customers alike. 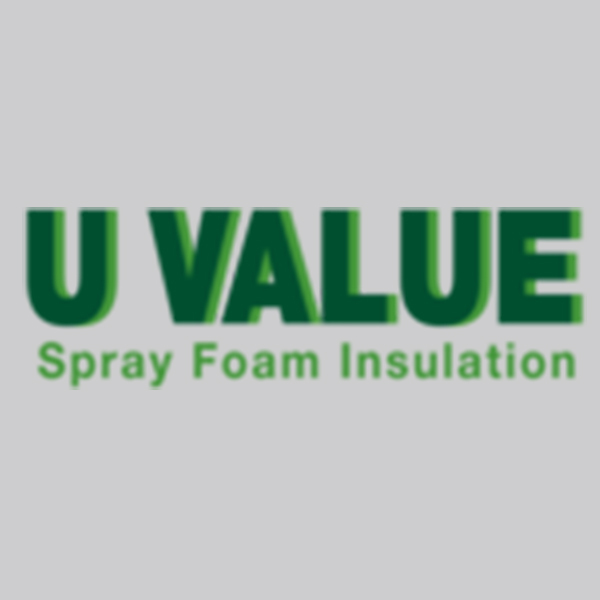 To insure your satisfaction we guarantee our products and ensure excellence in value and service. 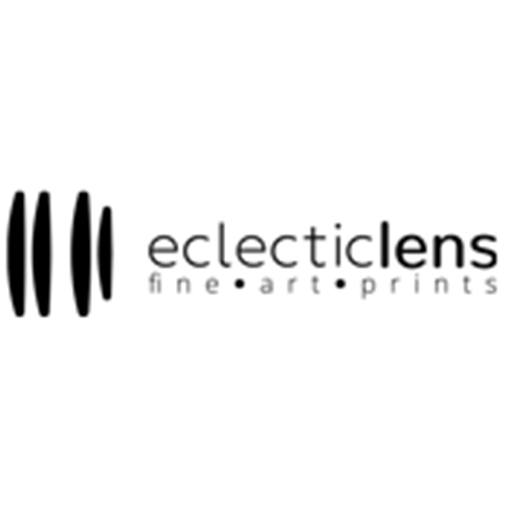 All our products come with factory backed warranties. 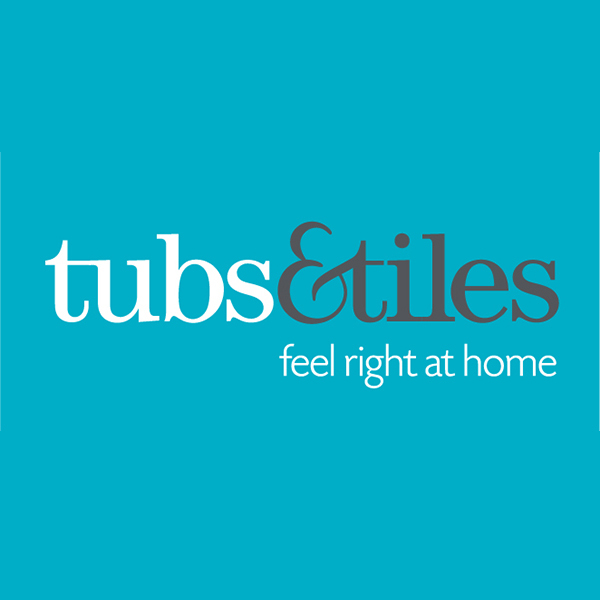 We are the leading home extension and renovations specialists. 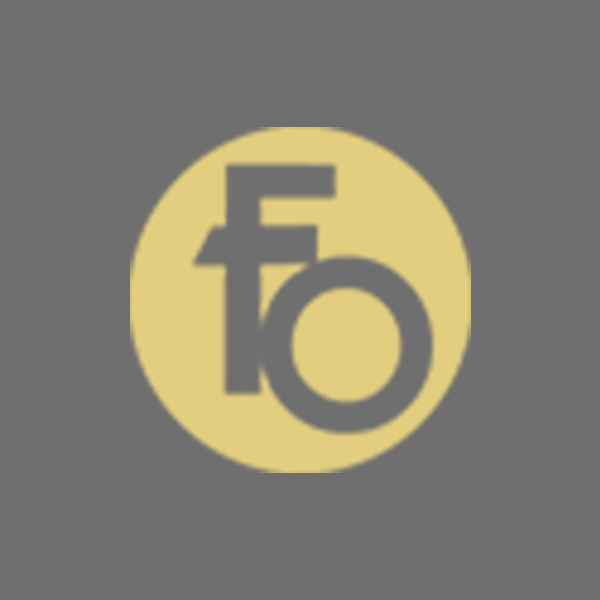 We have a distinctive reputation for elegant and bespoke designs. 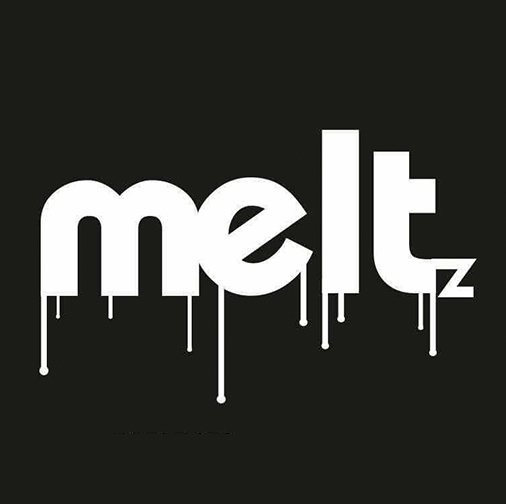 We offer complete packages that are tailor made for you. 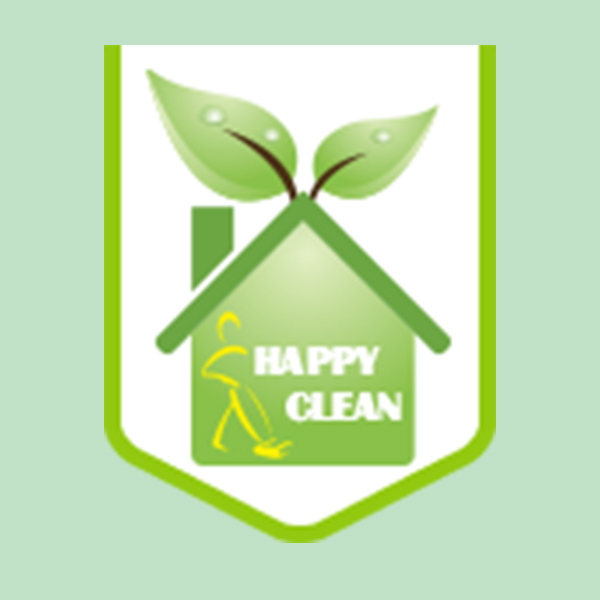 This includes design, build and completion of your energy efficient home. 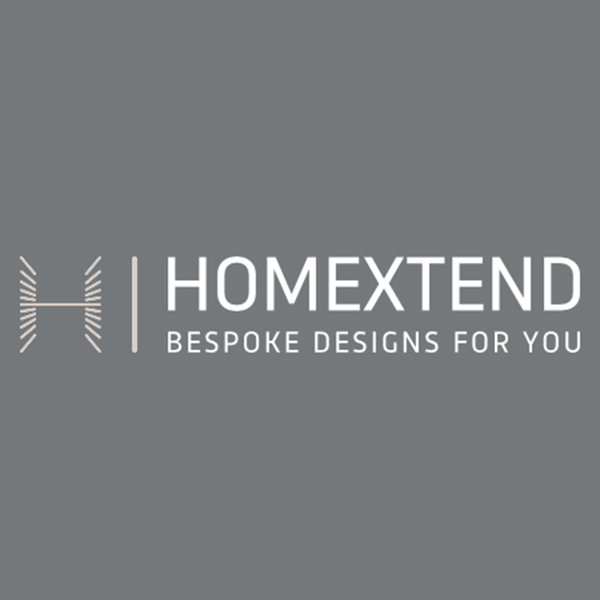 The team at HomeXtend pride ourselves on perfection and are passionate about the design of transforming your dream home into a reality. 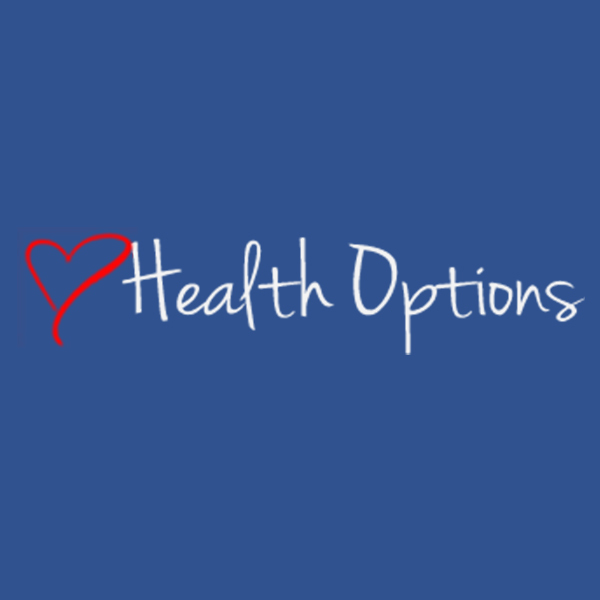 Health Options has been established in 2014. 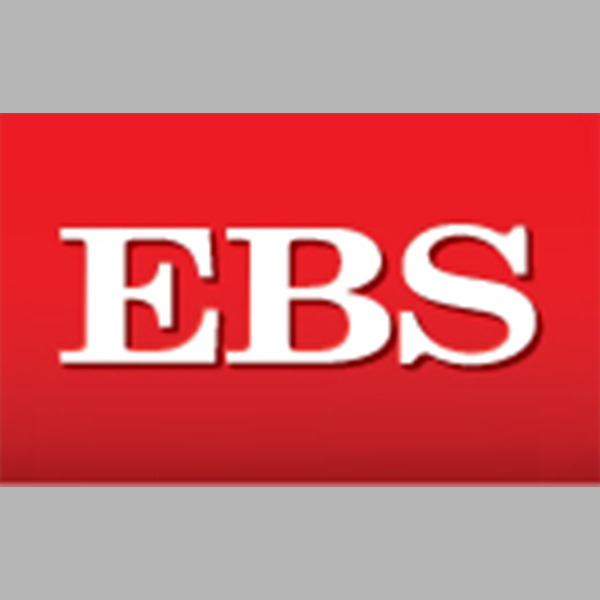 It is a subsidiary of the Real Massage Co. which has traded very successfully for over 15 years. 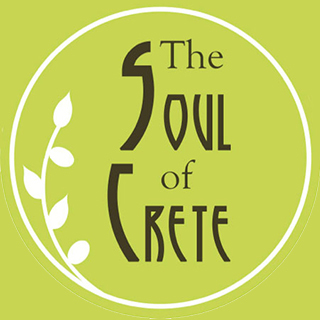 Maureen Kearns is the proprietor a qualified Kinesiology’s, with 40 years retail experience. 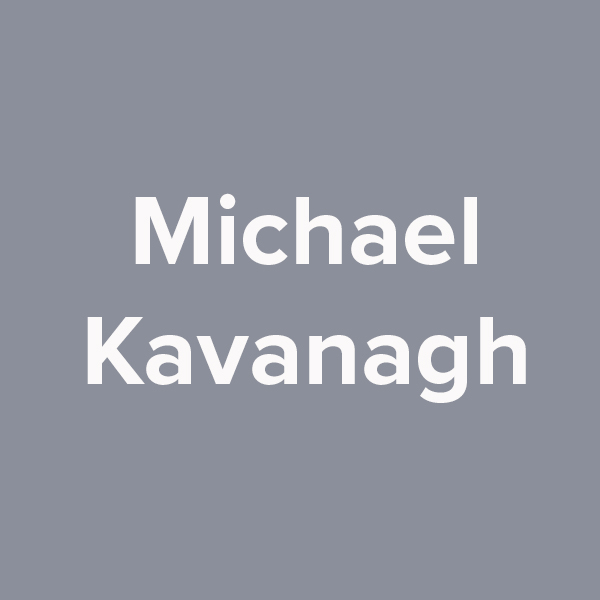 By exceeding customer expectations with superior product and service levels, is to become the most recognisable name in renewable energy in Ireland. 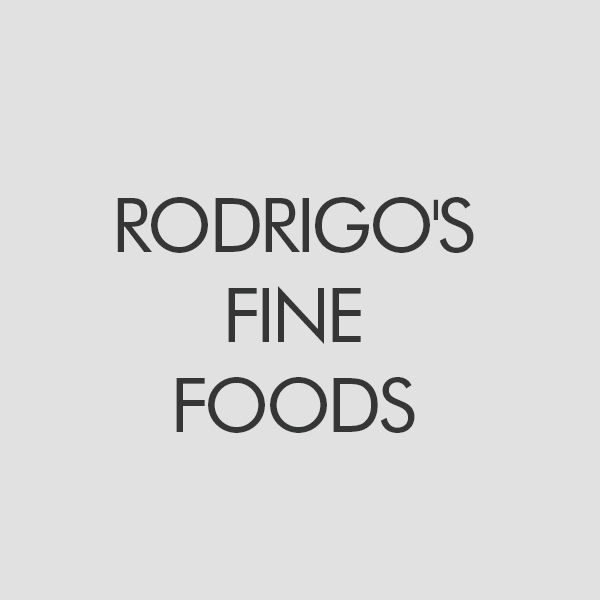 To provide our customers with quality products and a quality service, all at an affordable price. 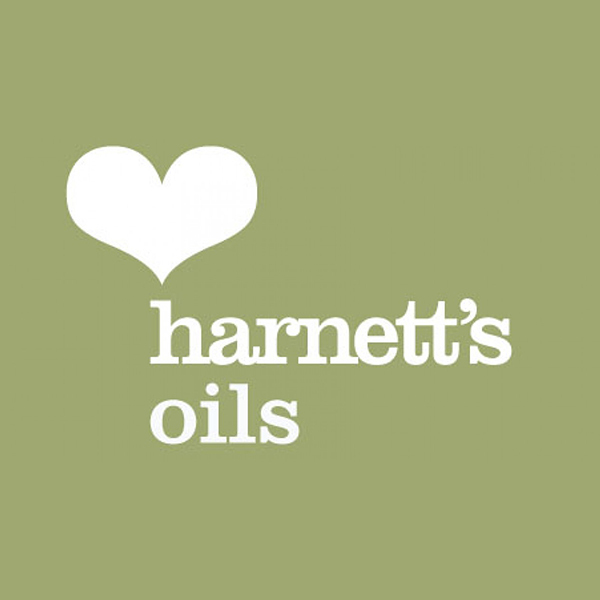 Harnett’s Oils is a award-winning family run business that grows, cold-presses, filters and bottles a range of oils on their family farm; The Waring Estate in the Barony of Iveagh in County Down. 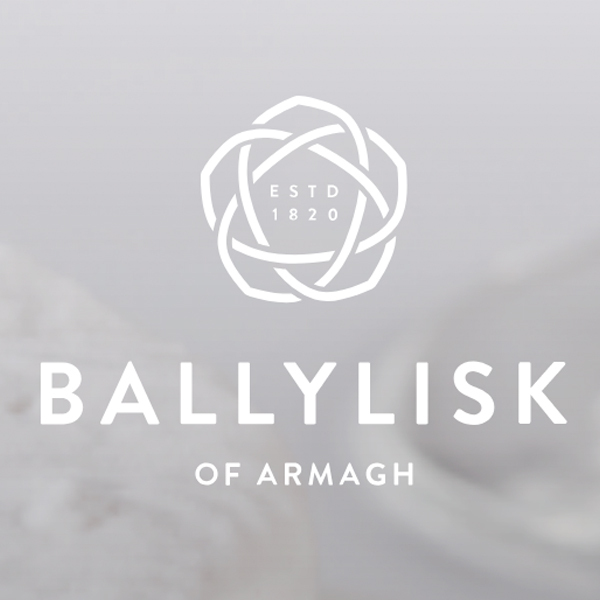 Our PGI pending Extra-Virgin Cold-pressed Rapeseed Oil grown in the Lagan Valley in the Barony of Iveagh is famous for its oilseeds dating back to the 17th Century with the beginnings of the world renowned Linen industry. 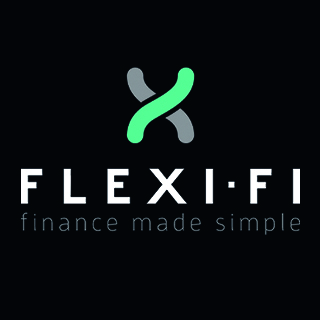 Specialists in combining industry experience with innovative technology. 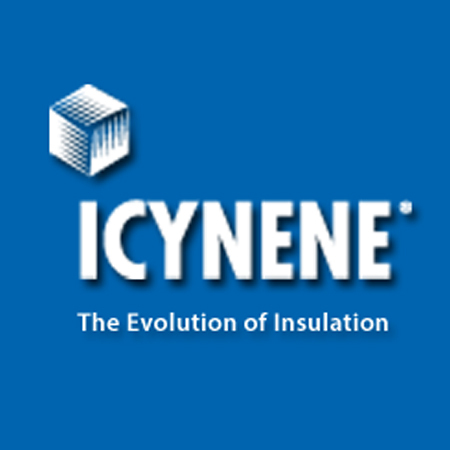 Offering affordable and effective heating solutions for residential and commercial units. 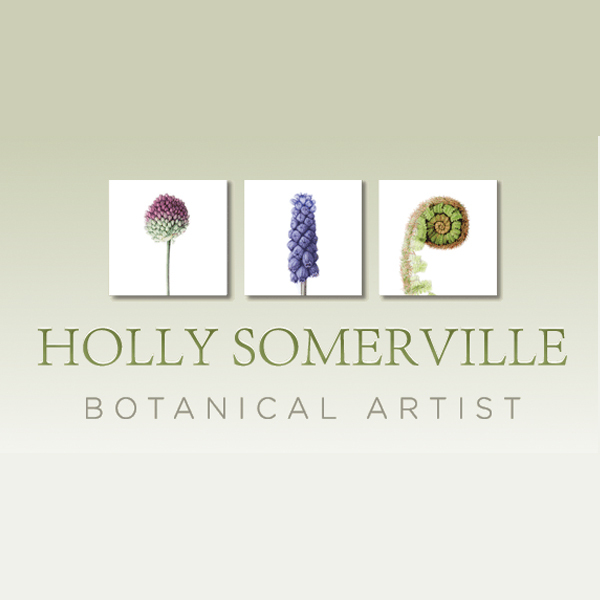 Holly Somerville is an Irish artist and designer working in a restored millhouse in the Wicklow mountains, just an hour from Dublin. 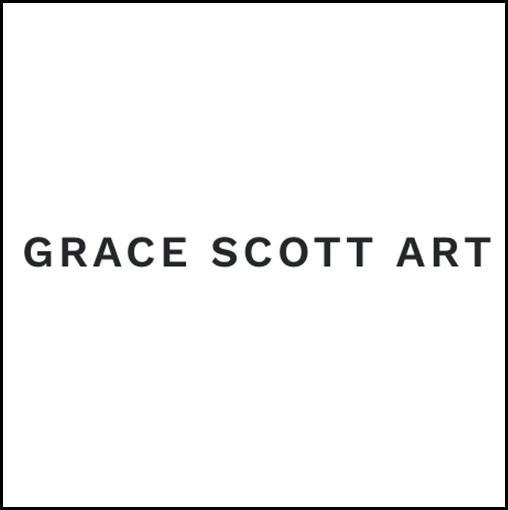 Trained at Oxford University and Edinburgh College of Art, she paints highly detailed watercolours using botanical subjects and other found items from her garden. 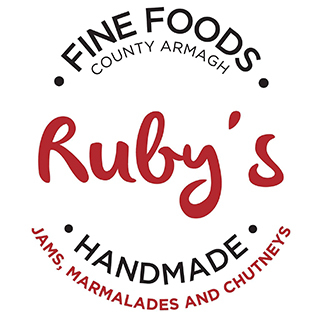 Holly is delighted to bring to you her fresh, bright giftware designed using her beautiful paintings in a contemporary style. 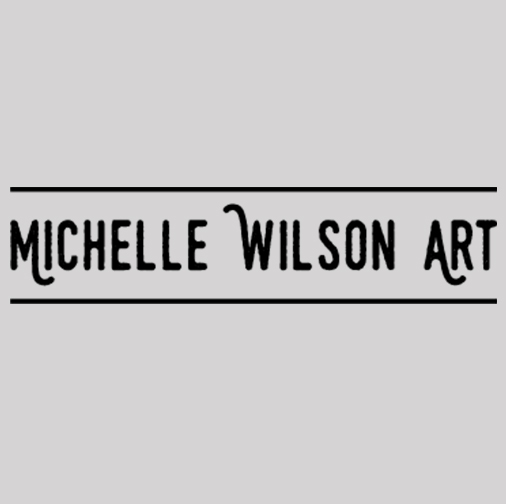 Using the mediums of ink and watercolour, she captures moments in life, and conveys her observations in her inimitable style. 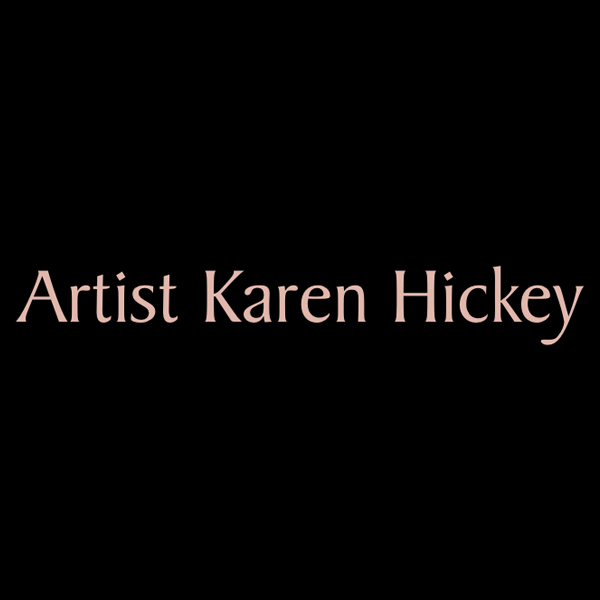 My paintings are the result of my desire and passion to paint. 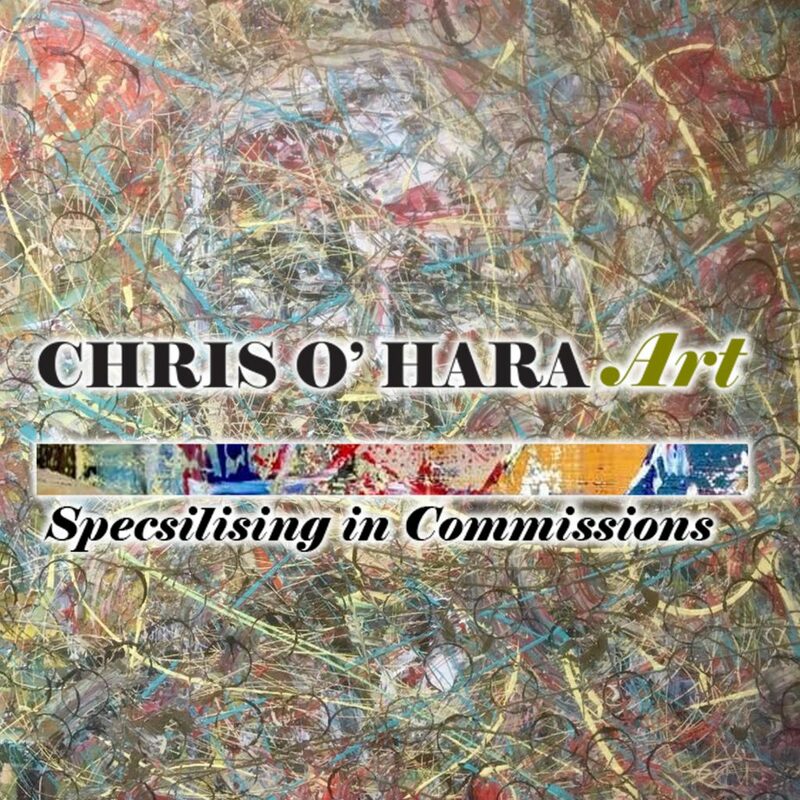 Oil Painting gives me the privilege of creating my own order to things, to reflect who I am on this colorful journey of self discovery and to be unafraid to share what I find. 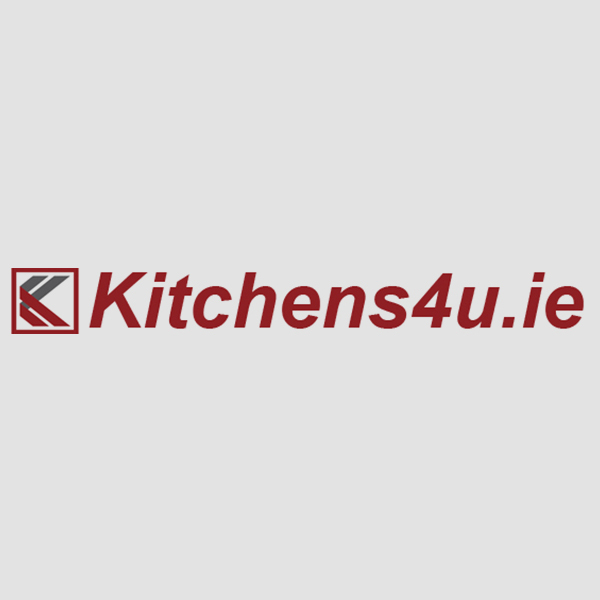 For over 27 years we have been designing beautiful modern and classical kitchens for our clients in Ireland and abroad. 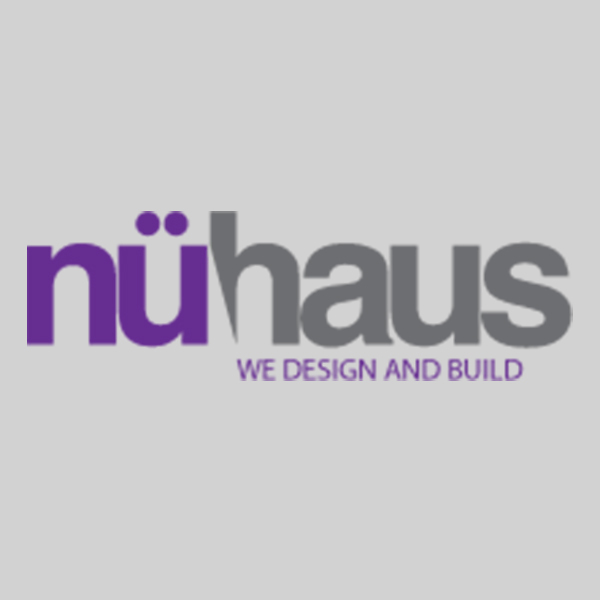 Our team of experienced designers and skilled craftsmen will work with you to create your dream home. 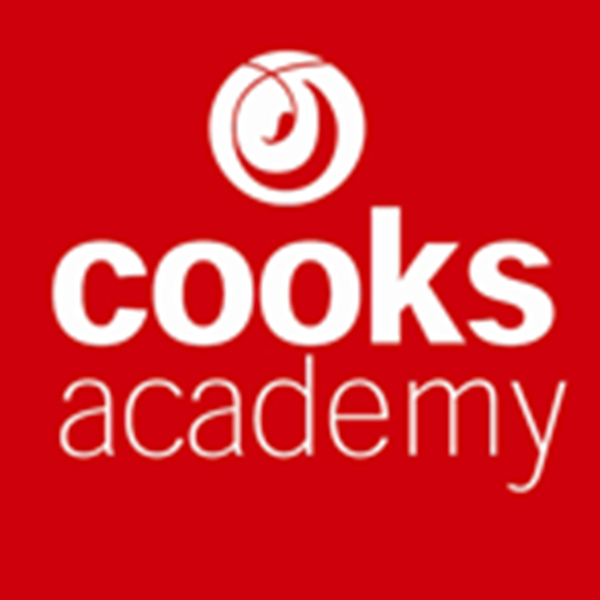 Whether you’re looking to install a stunning front door, or a beautiful sash window, we can help. 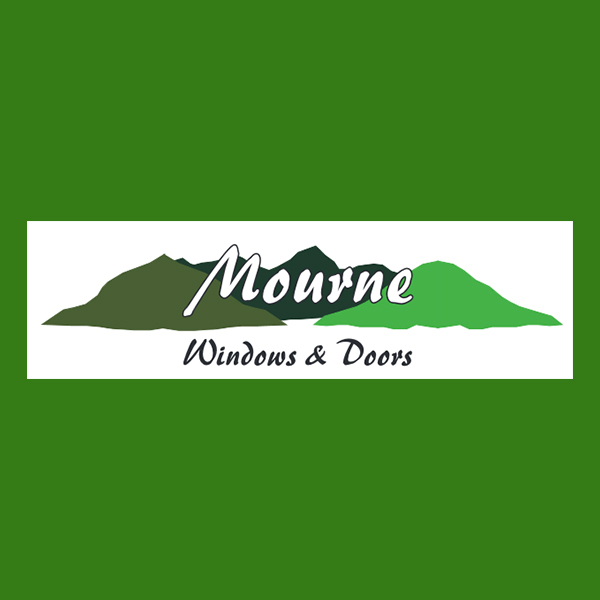 Our team of professionals will work closely with you to help you choose the right doors and windows for your home. 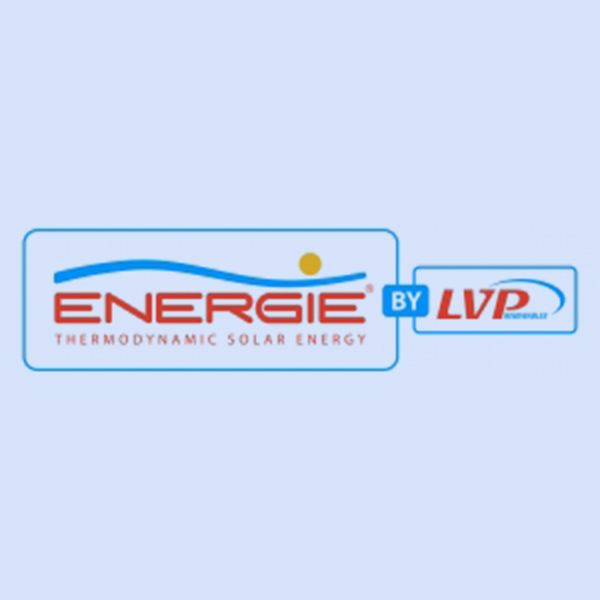 As an Irish solar panel company, we have positioned ourselves in the market as leading solar energy equipment suppliers for homes and businesses. Our solar panels are loaded with technology that are designed for & work perfectly well in the Irish climate. 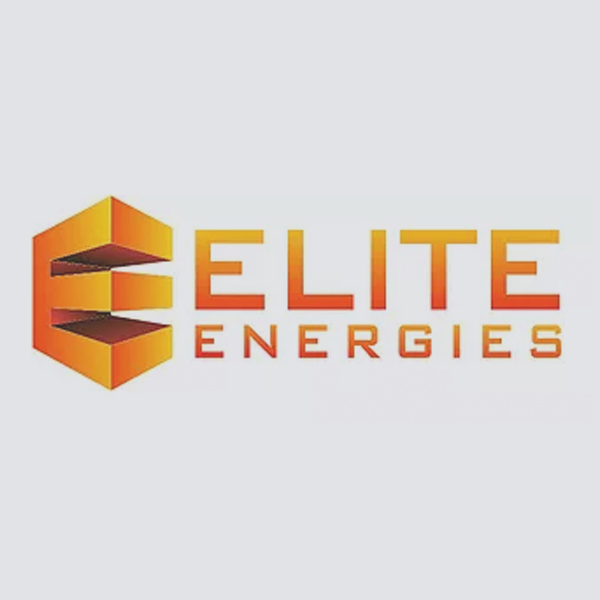 Through combining our expertise with that of world leading manufacturers, Elite Energies are spearheading the future in groundbreaking sustainable energy. 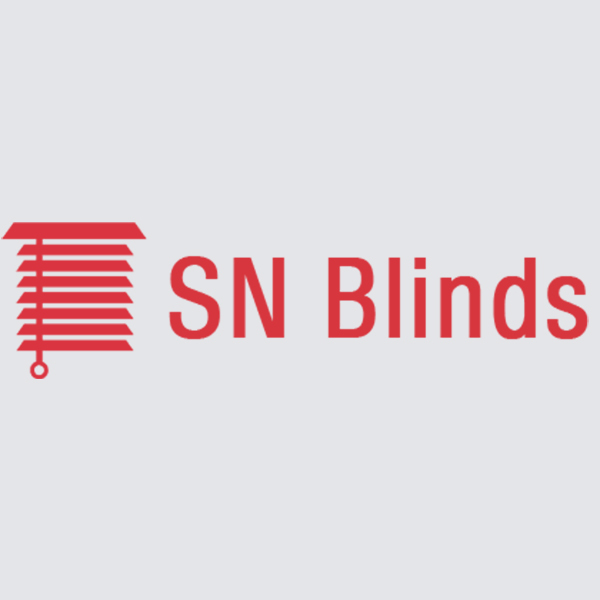 We at SN Blinds, Supply, Fit and Maintain all types of Window Blinds. 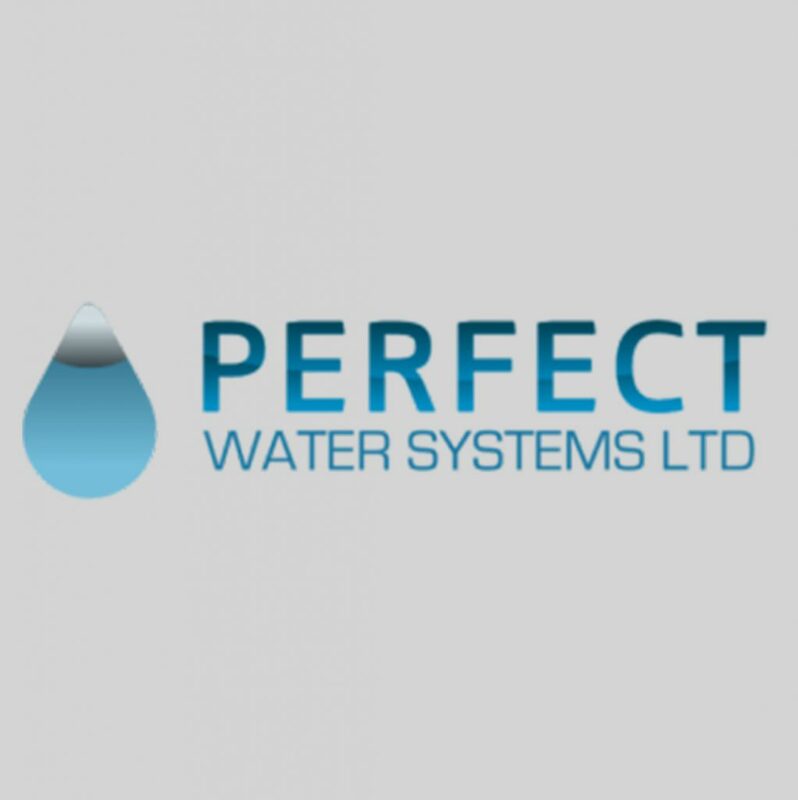 Our aim is to offer all our customers a quality product and service at a fraction the cost of our competitors. 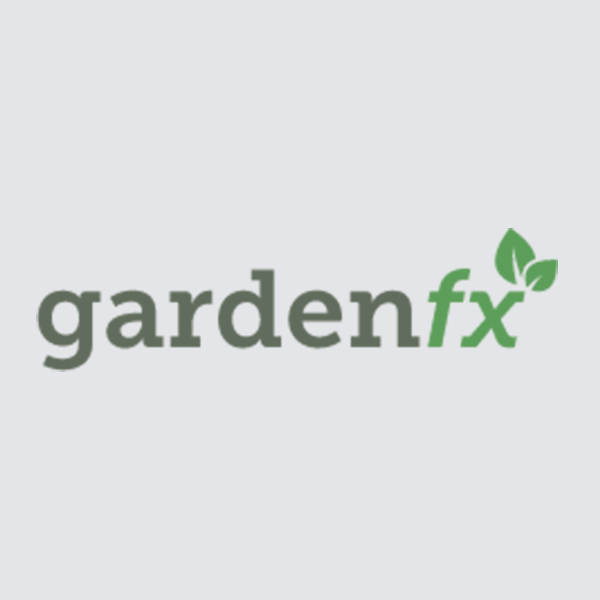 GardenFx is a specialized Irish company supplying innovative indoor & outdoor lifestyle solutions. 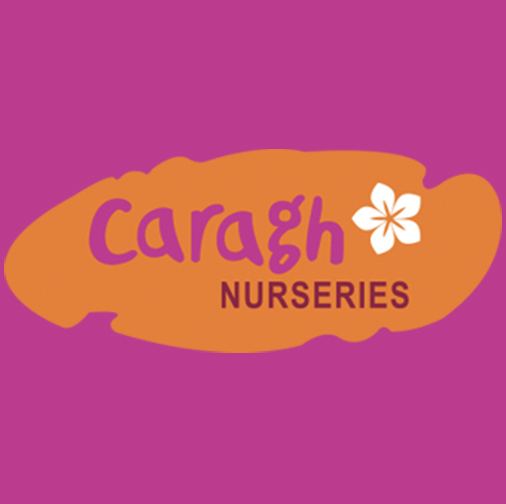 We have been supplying products to the consumer, retail and commercial sectors of the Irish market for nearly 20 years, which means we have a proven track record of experience in innovation, product development and customer service. Ireland - where living magic can still be found. 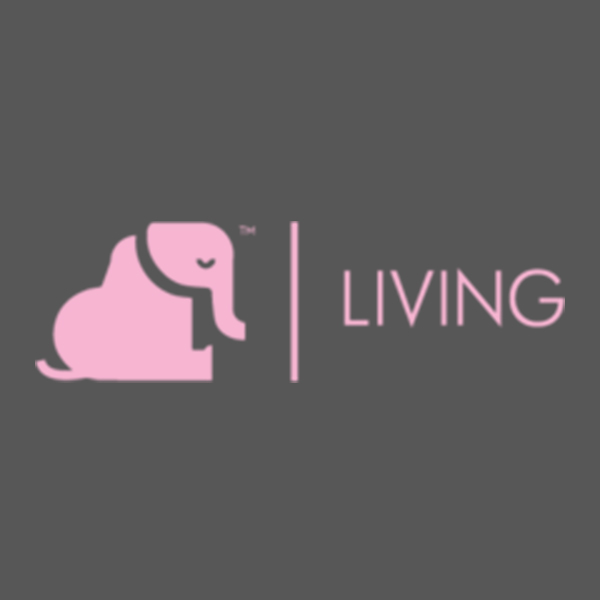 From wild and beautiful Mayo where Elephant Living was brought up to the legends of the Ancient East our collection is inspired by wild & natural things. We work with exquisite fabrics and textures paired with gorgeous colours to create a magical collection. 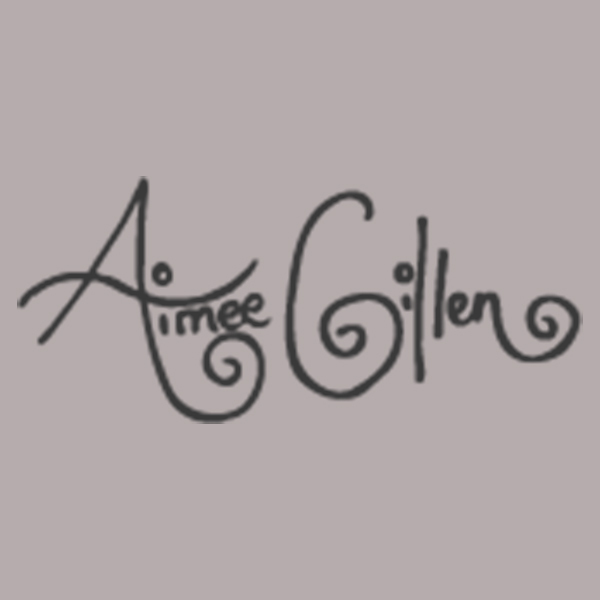 Aimee has been working on self-initiated and commissioned projects since 2009, whilst also organising and taking part in various exhibitions along the way. 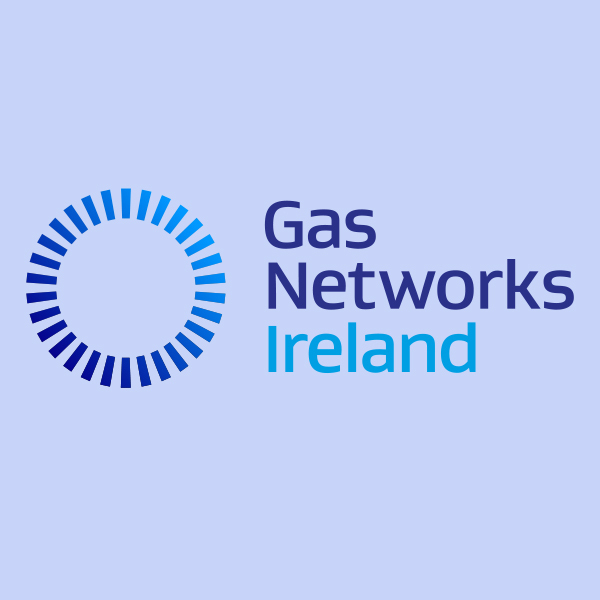 Gas Networks Ireland is a subsidiary of Ervia. Ervia is a commercial semi-state company with responsibility for the delivery of gas and water infrastructure and services in Ireland. 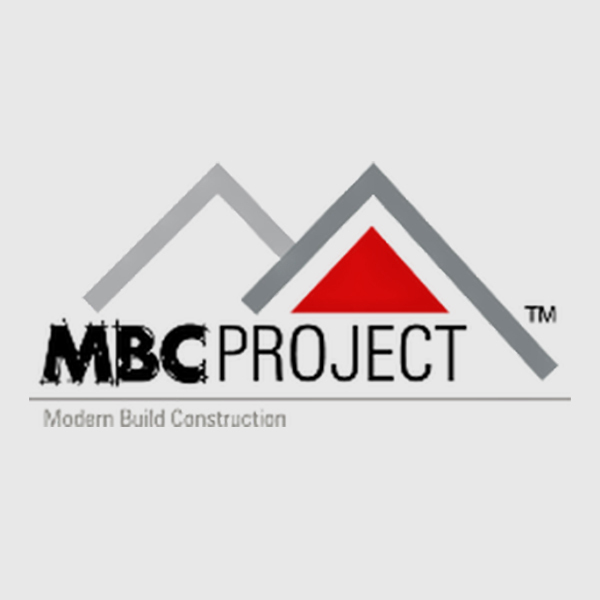 Here at MBC Project we believe that quality is the key to success in any industry. 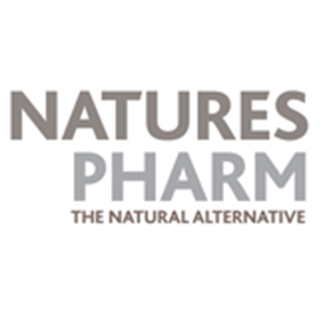 That is why we only provide the highest quality products from top European manufacturers. 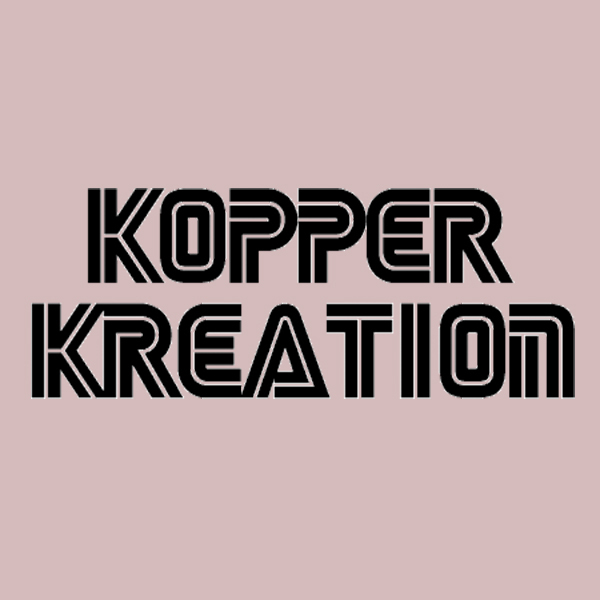 We are the official exclusive distributor in the UK and Ireland for excellent brands: Oknoplast, KABE, Stone Master. 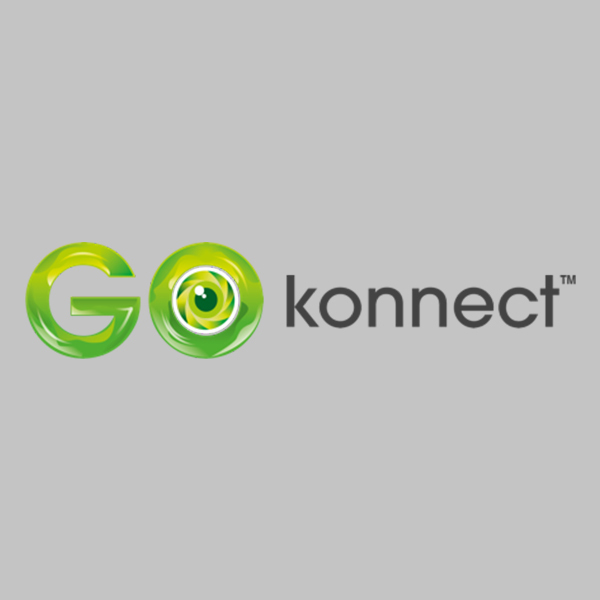 We have been operating in the UK and Irish markets since 2008, always staying up-to-date with new technological developments and innovative solutions or even being promoters of such. 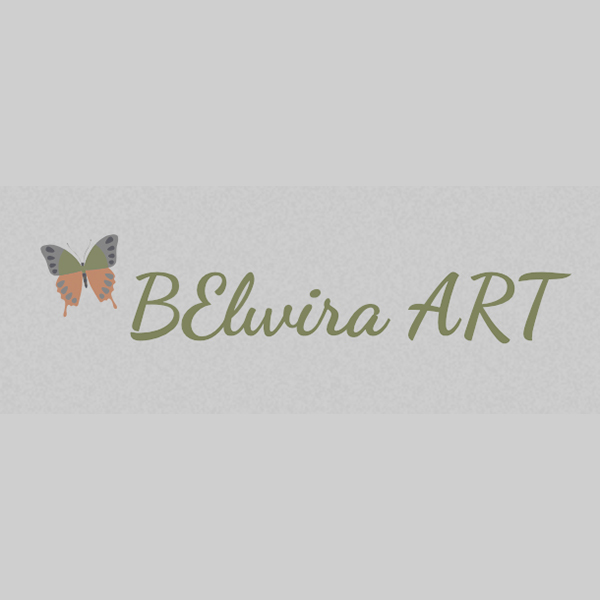 In March 2015, I registered my art company BElwiraArtCrafts and became a tutor for relaxing art workshops in Carlow. 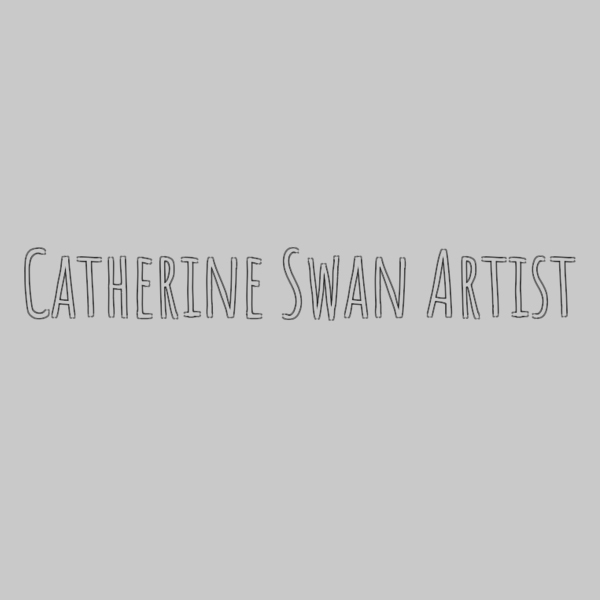 Since then, my artistic activity has been developed very intensively and my art presents at various shows, festivals and exhibitions. 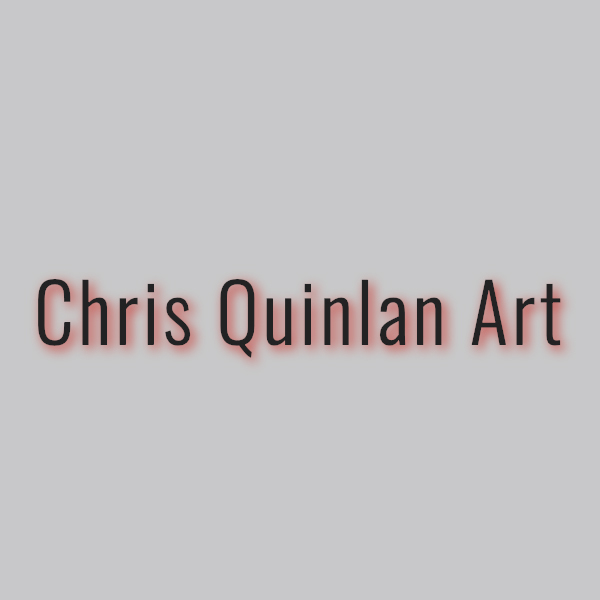 Painting is my passion which turned into work. 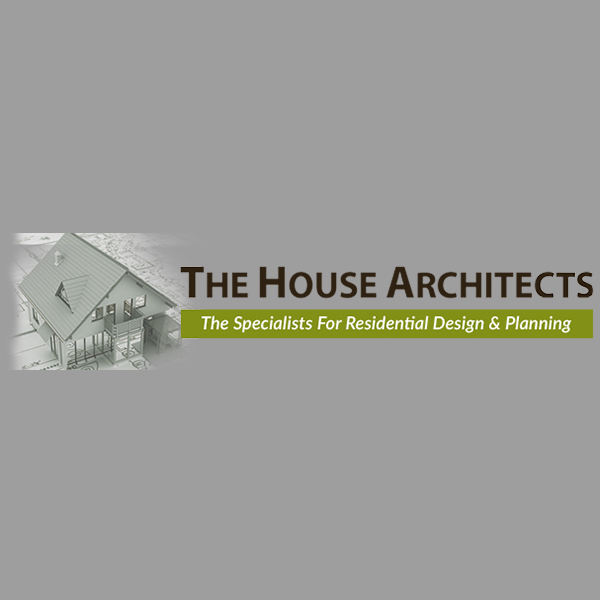 Our practice provides an architectural service focused on the design of homes for families in Dublin. 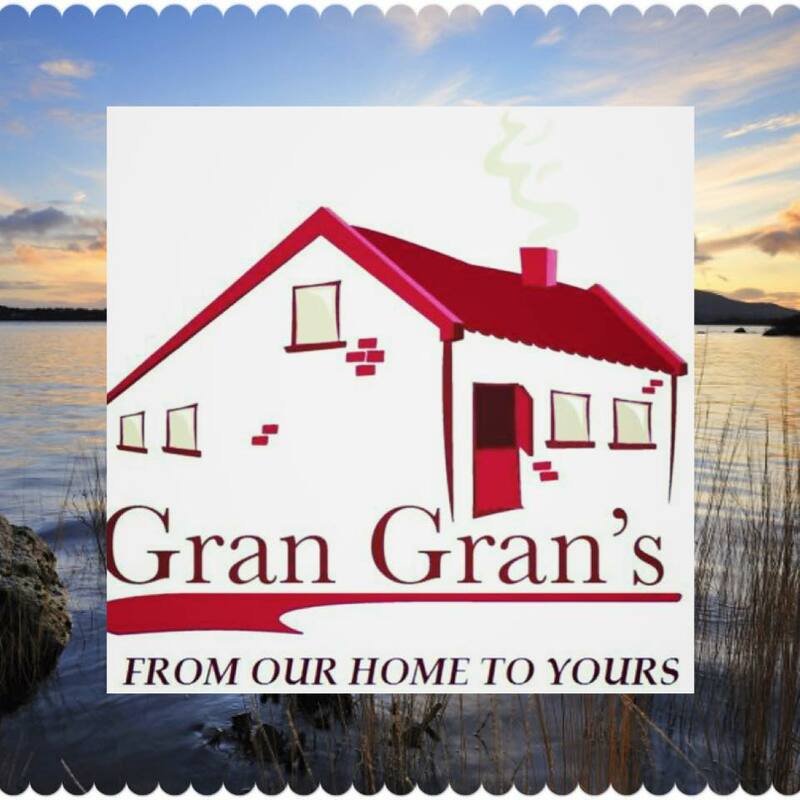 We are acutely conscious of the central role that the house occupies as the stage for family life, through our professional practice and our own personal experience. 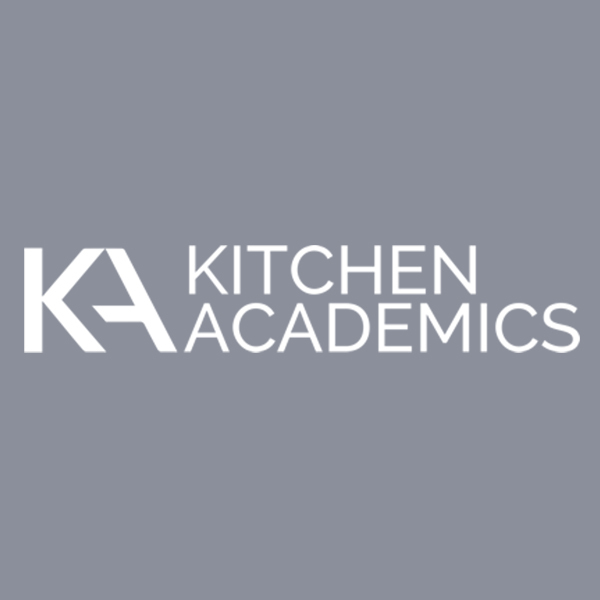 Our team of expert residential architects are passionate about helping people to realise the full potential of their existing house or to help them crystallise their vision for their dream home. 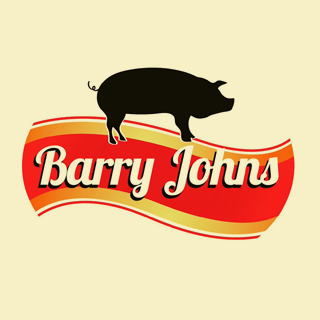 We have a reputation, and it’s one we’re very proud of. 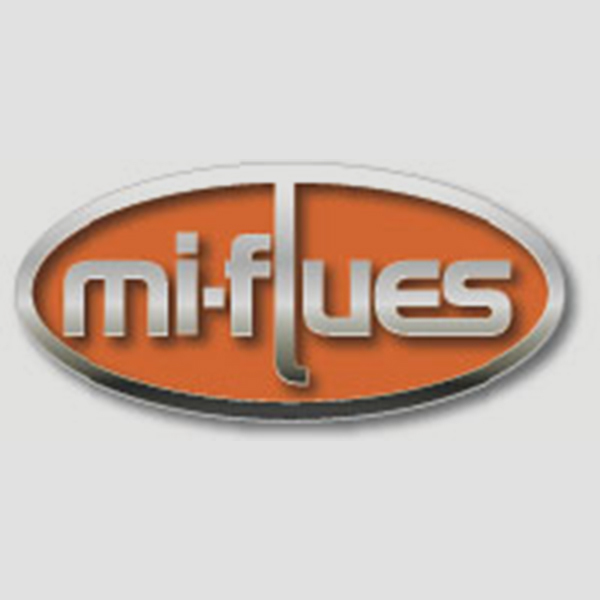 It’s a reputation our family run business has gained over 20 years by offering our customers the highest quality, both in products and service. 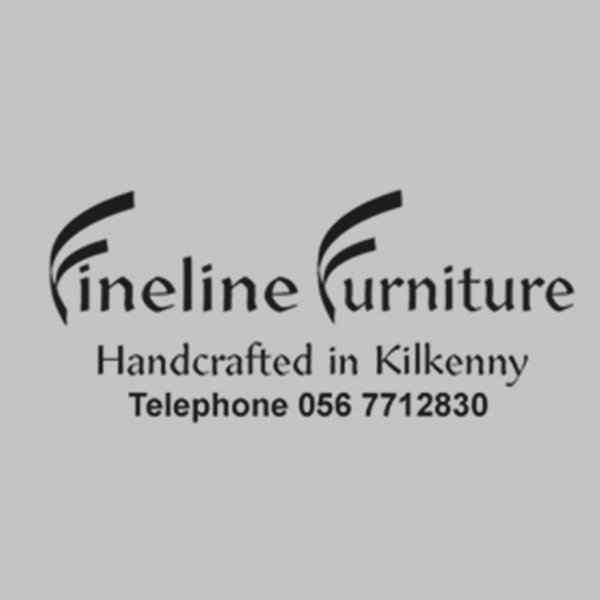 Fineline Furniture is a family run company located in Kilkenny, Ireland. 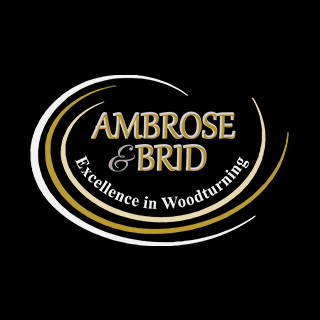 We specialise in making handcrafted furniture using traditional methods of cabinet-making working with solid oak, ash, Irish spalting beech, maple, walnut, and various other timbers.